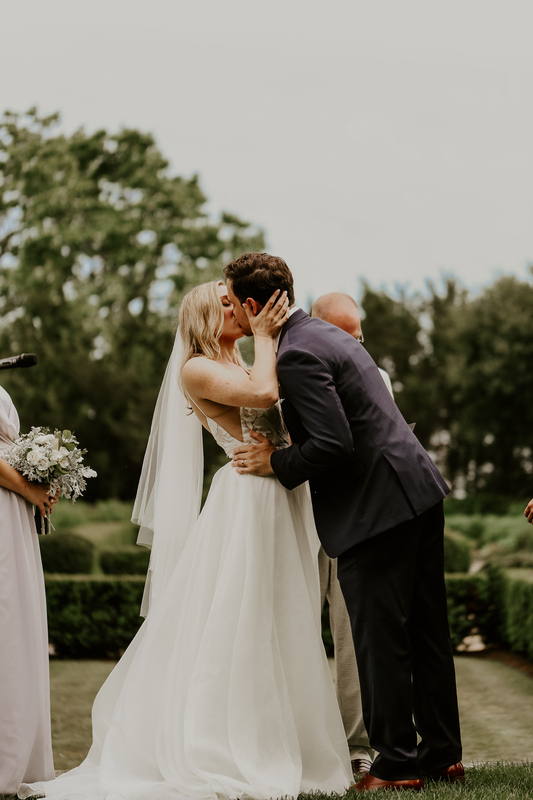 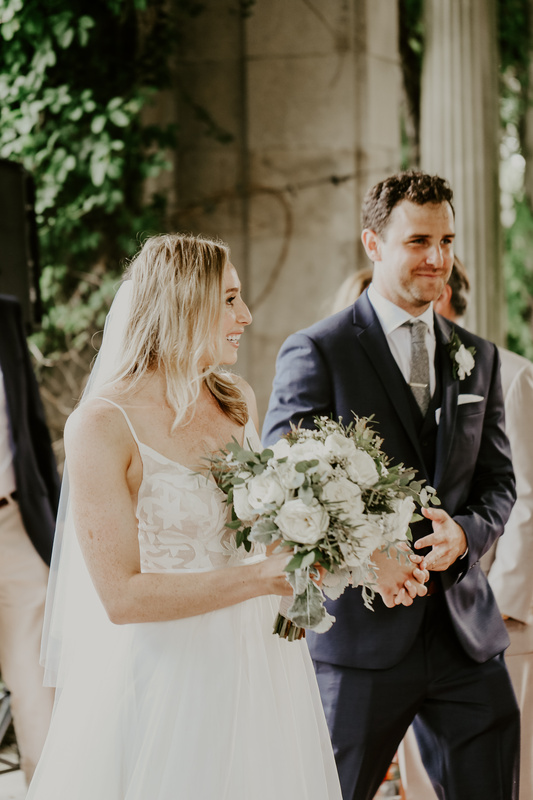 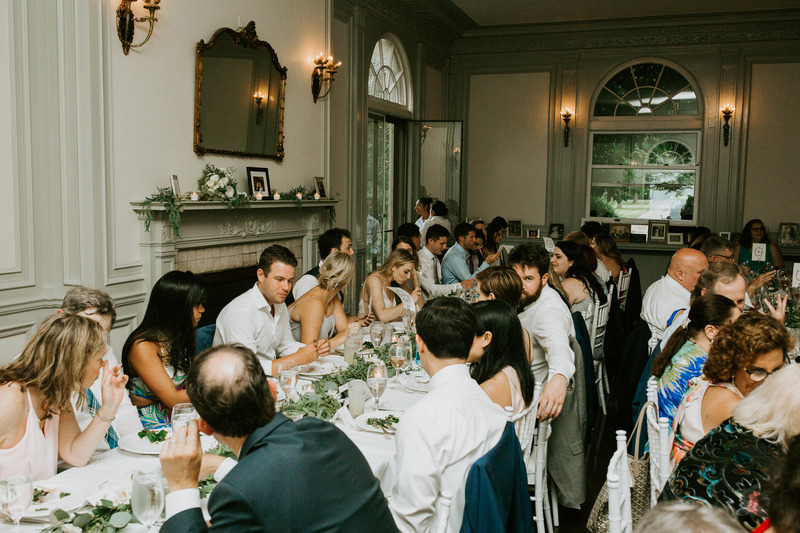 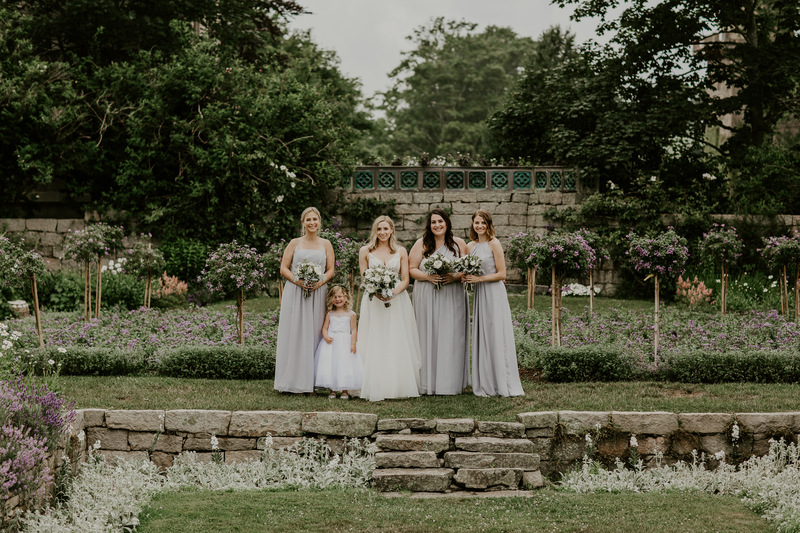 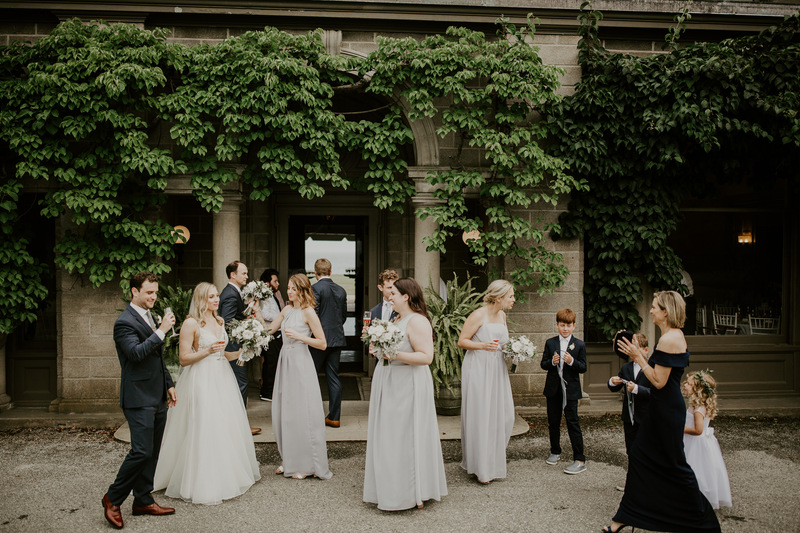 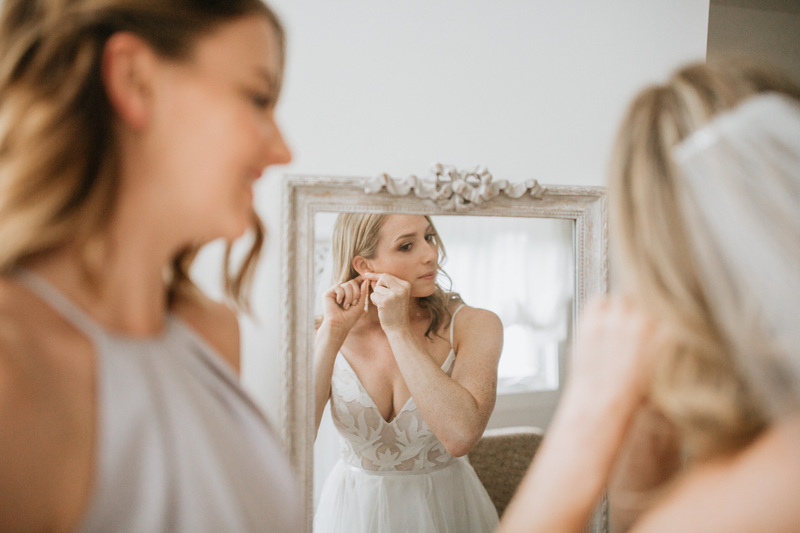 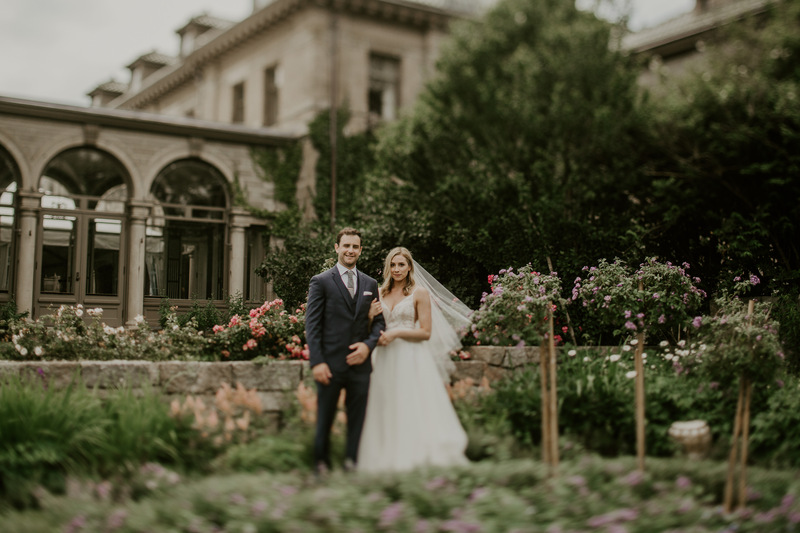 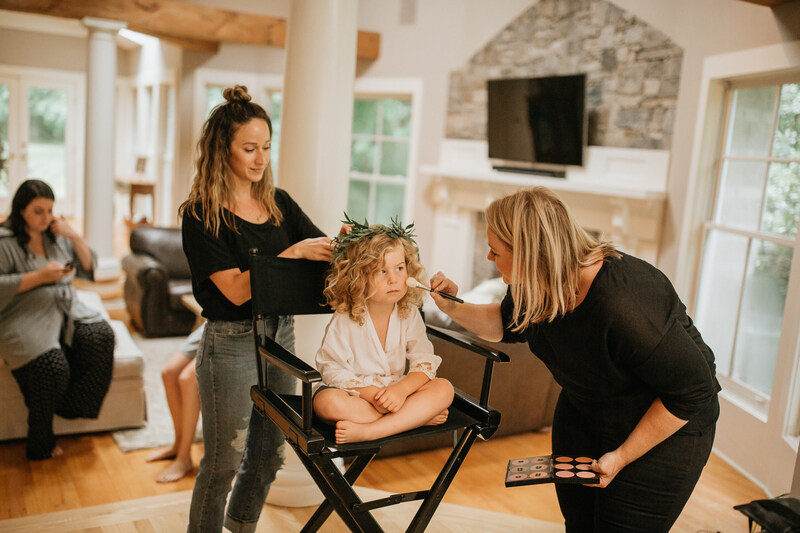 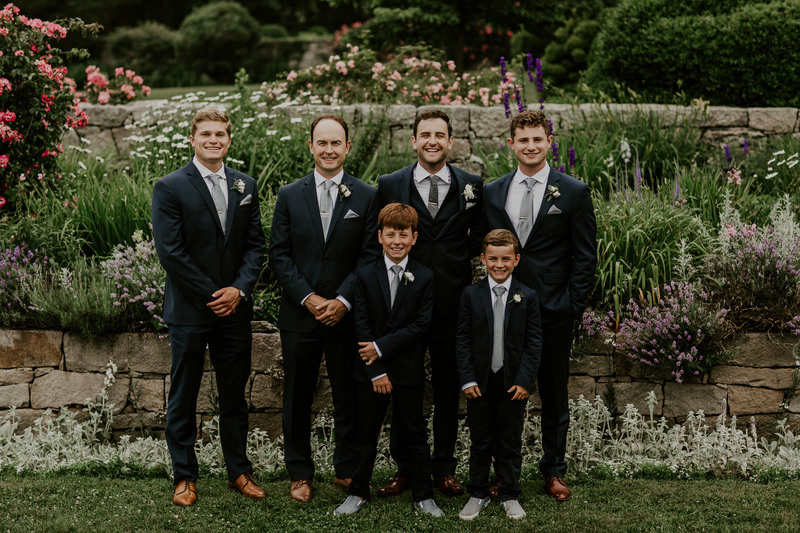 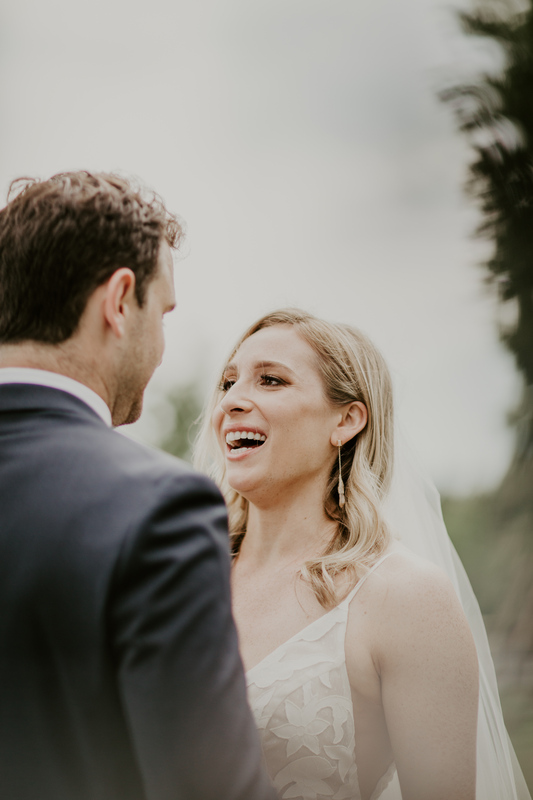 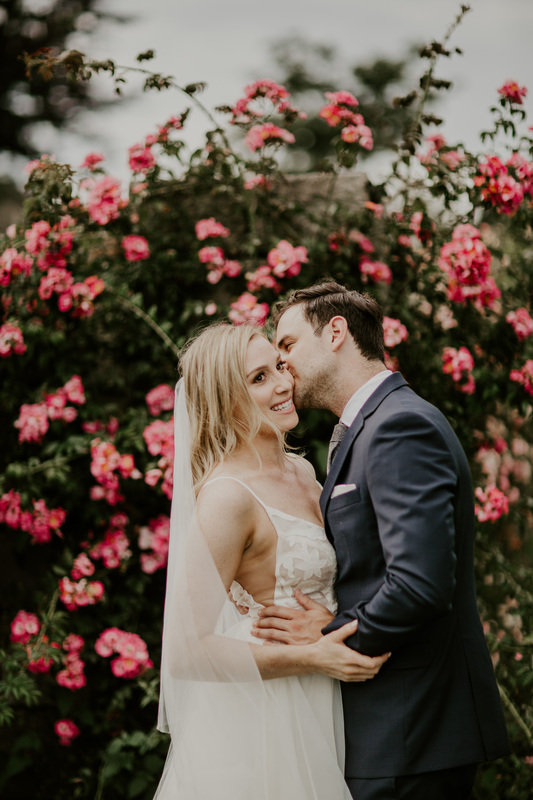 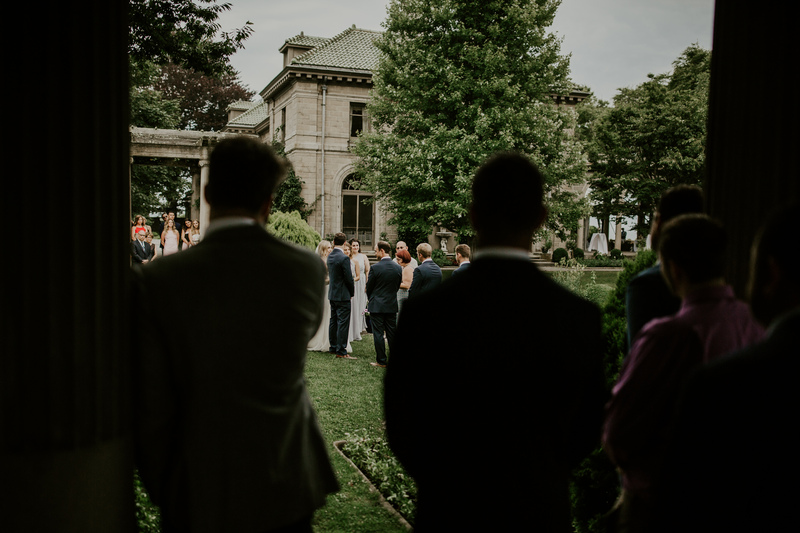 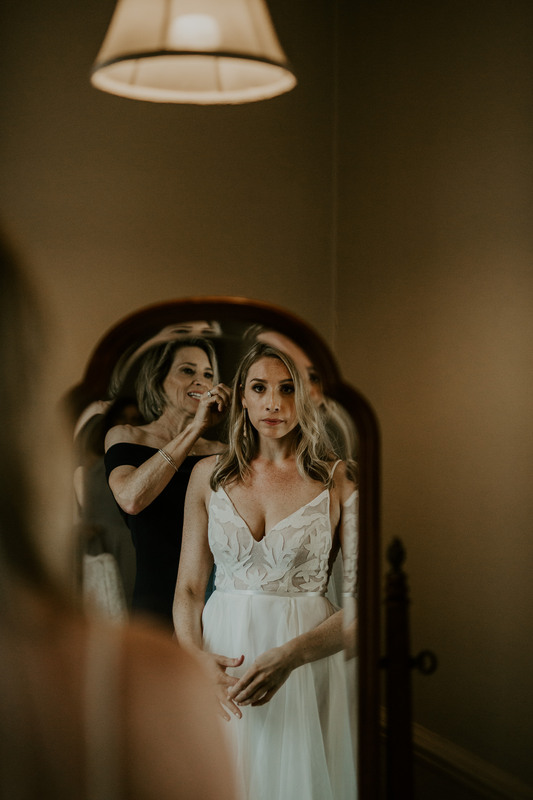 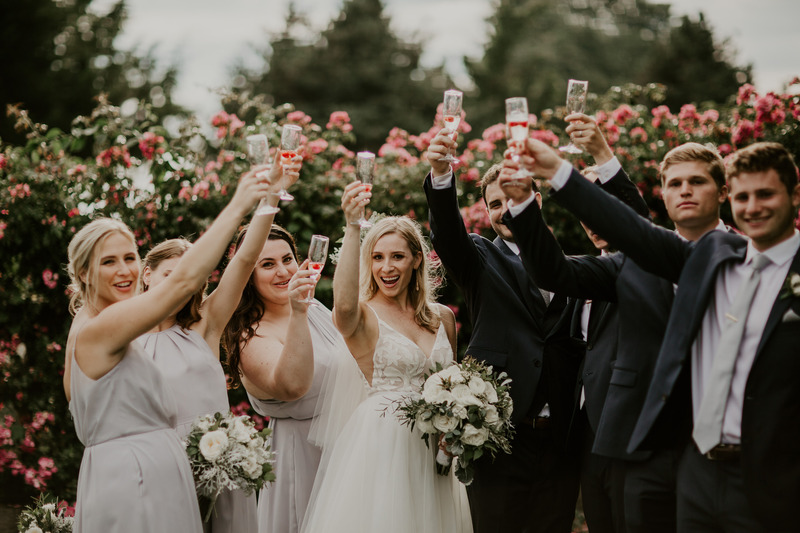 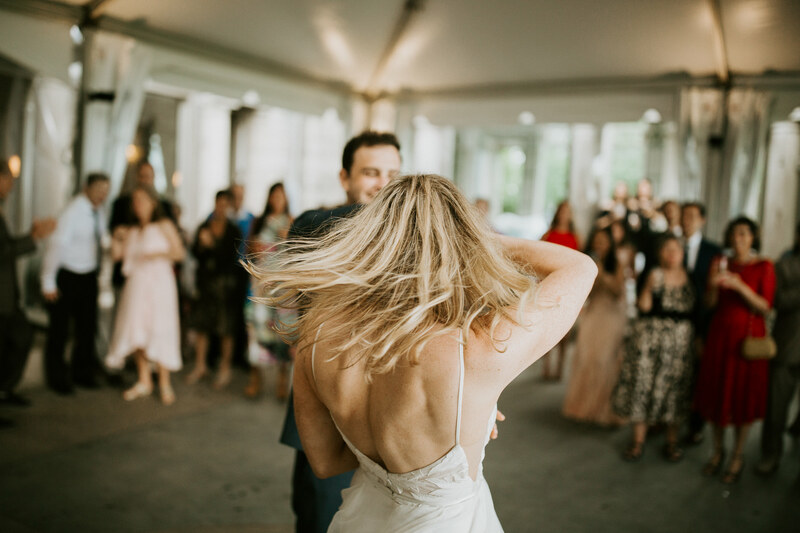 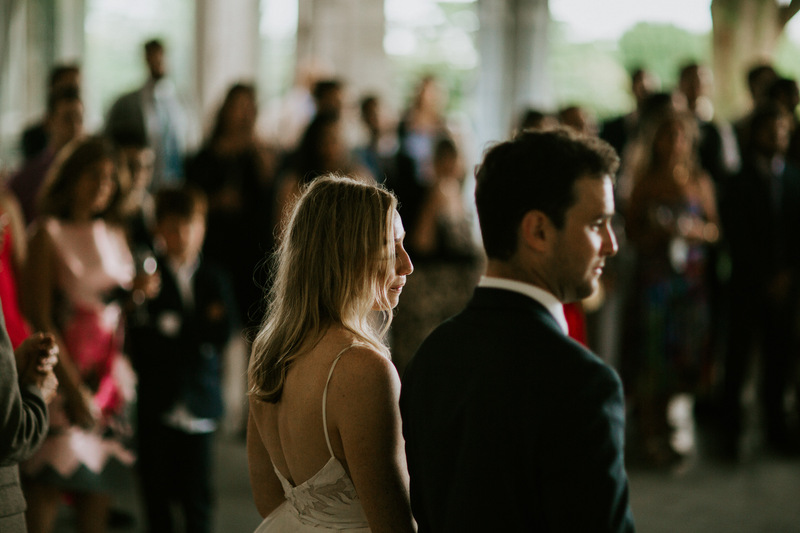 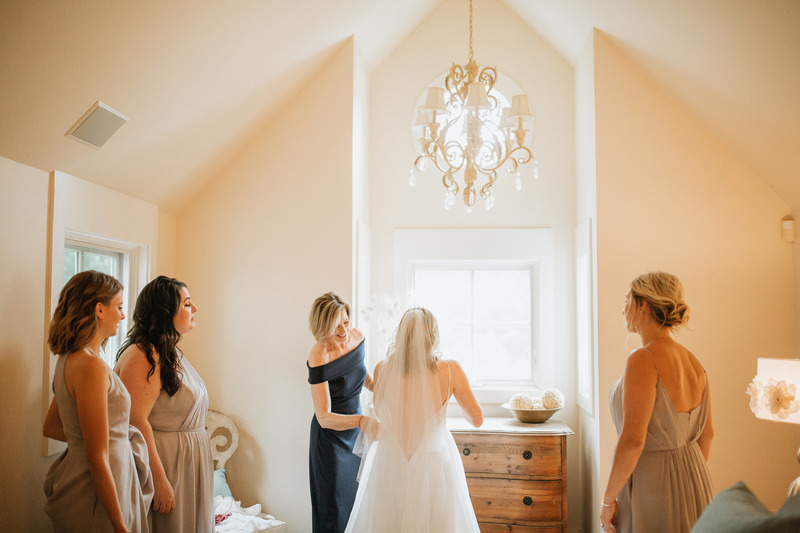 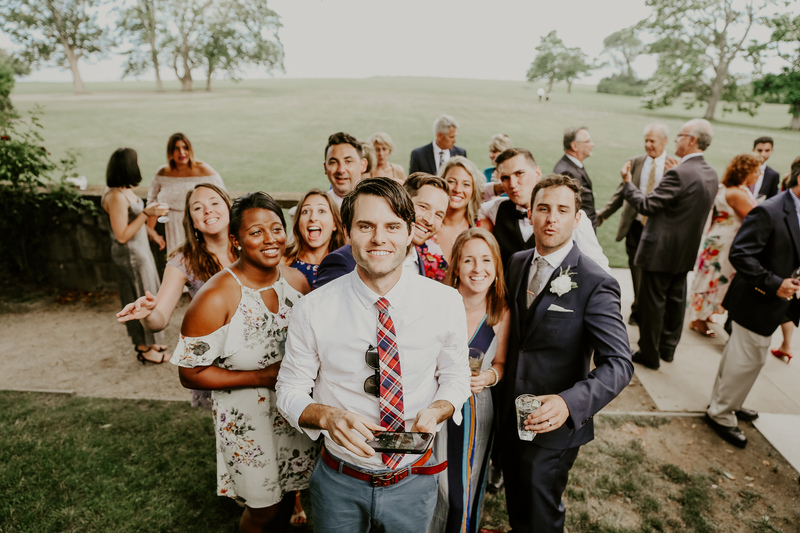 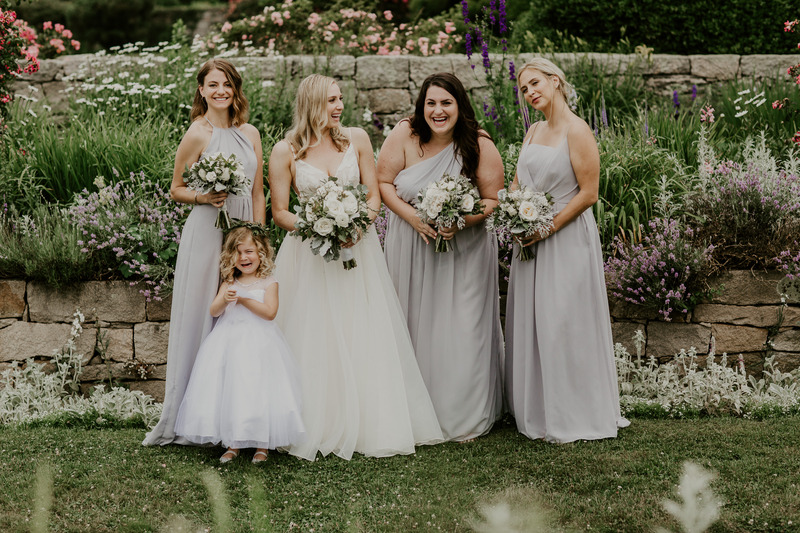 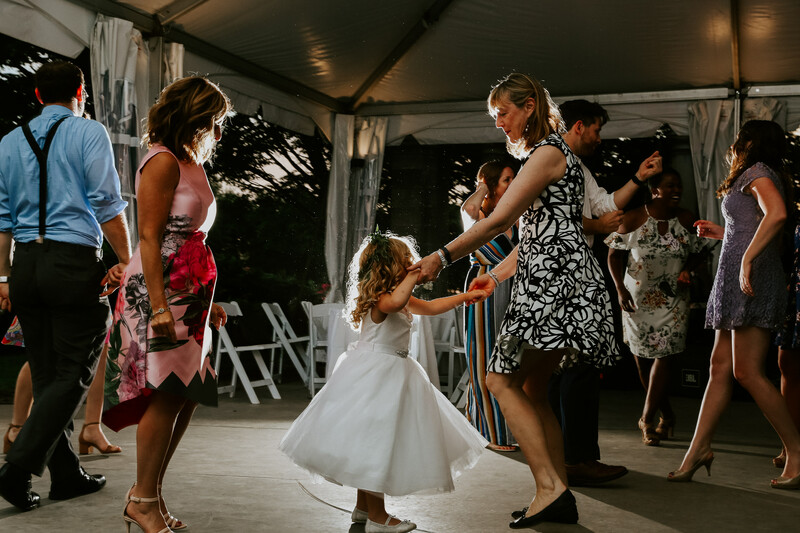 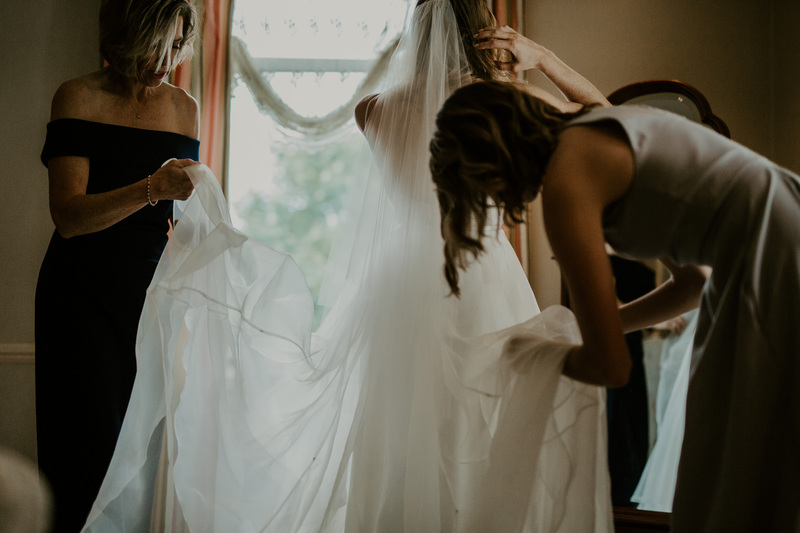 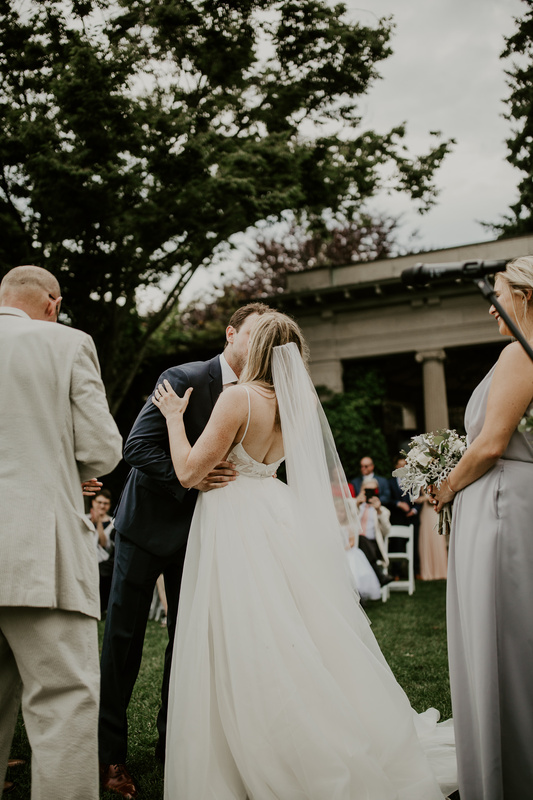 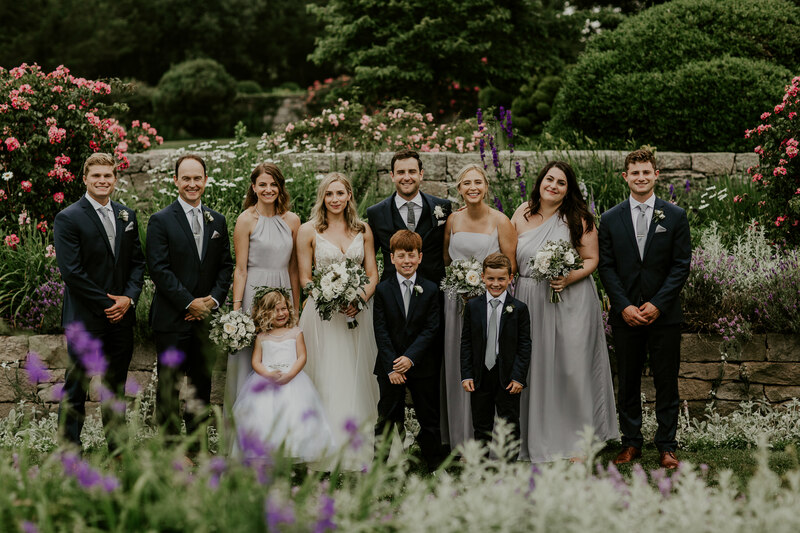 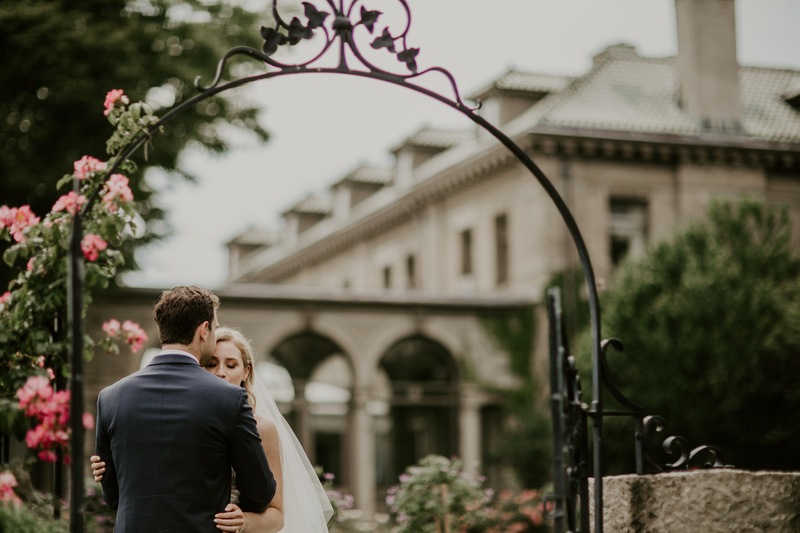 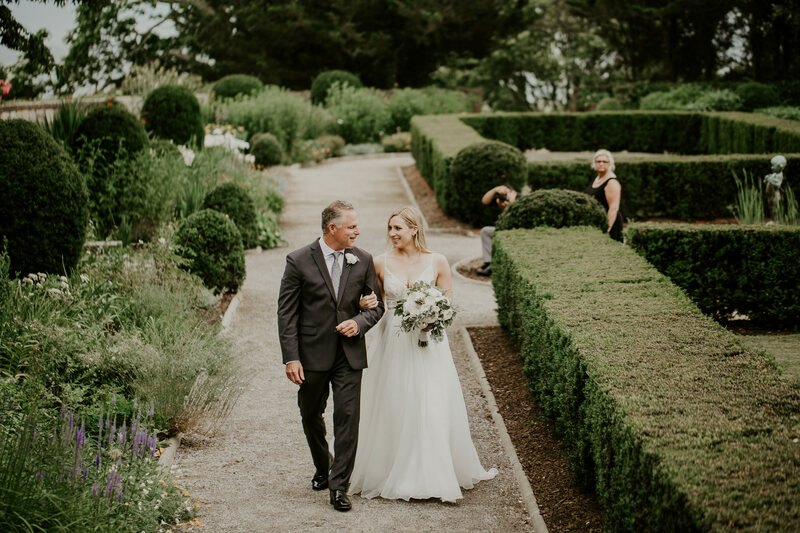 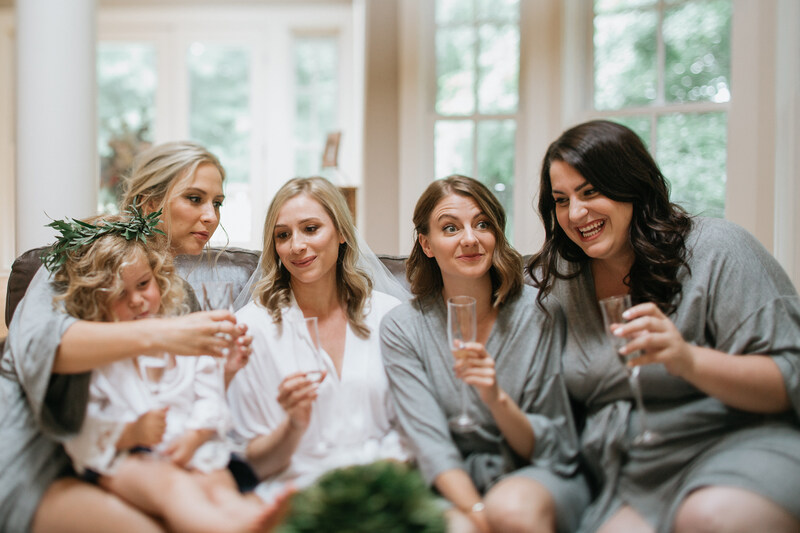 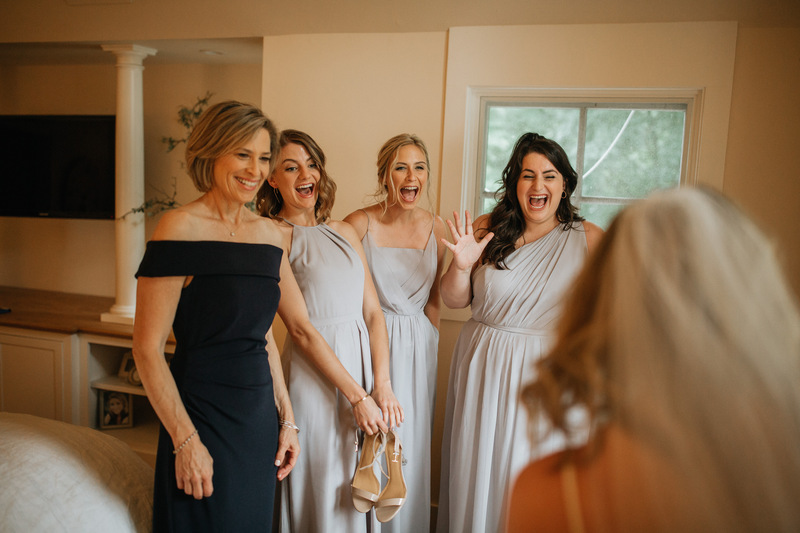 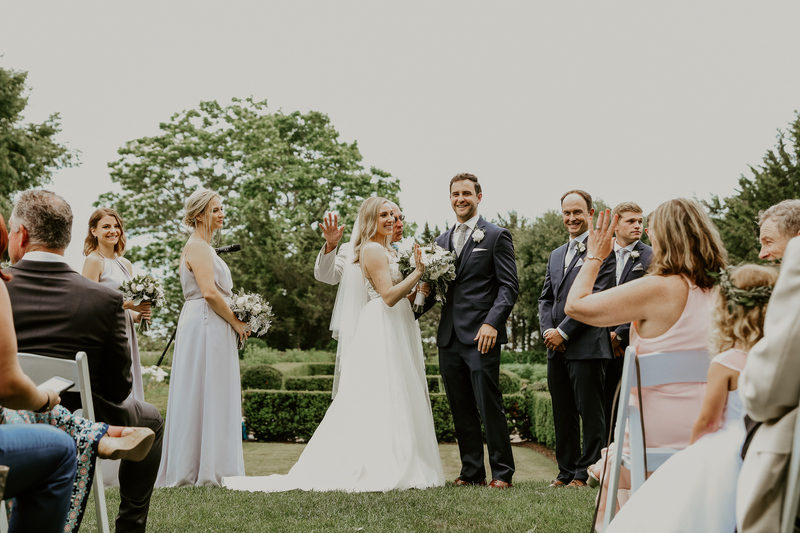 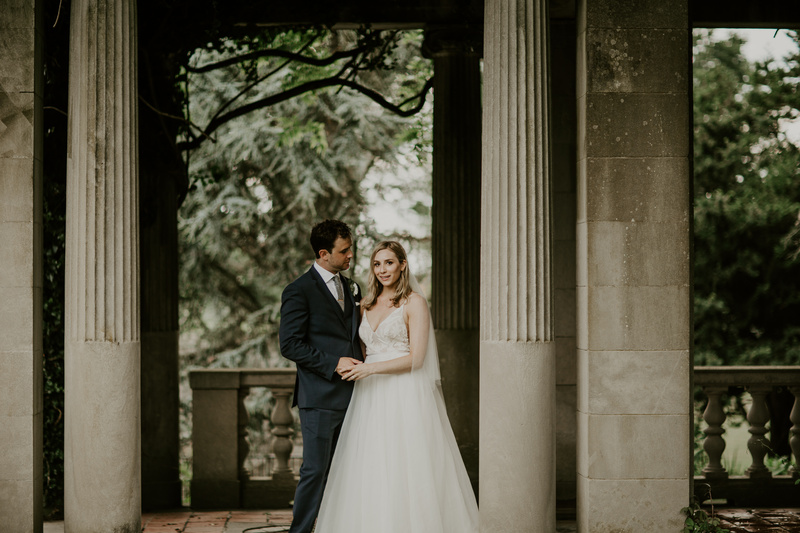 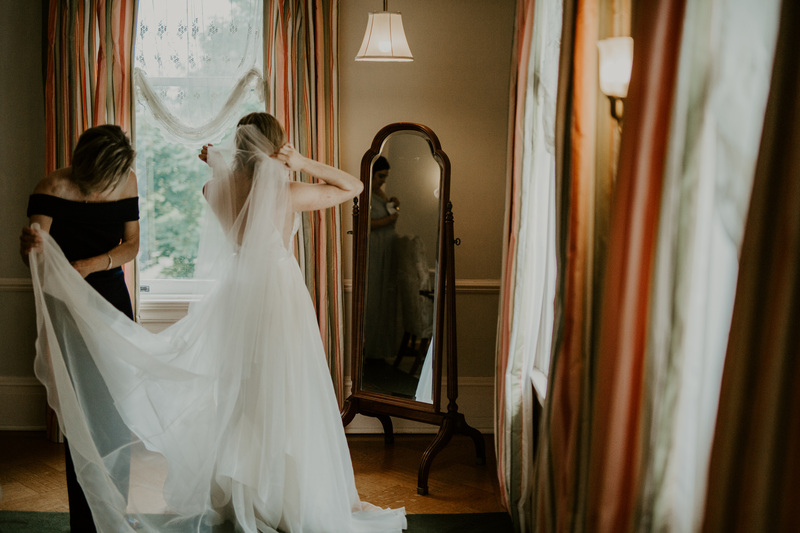 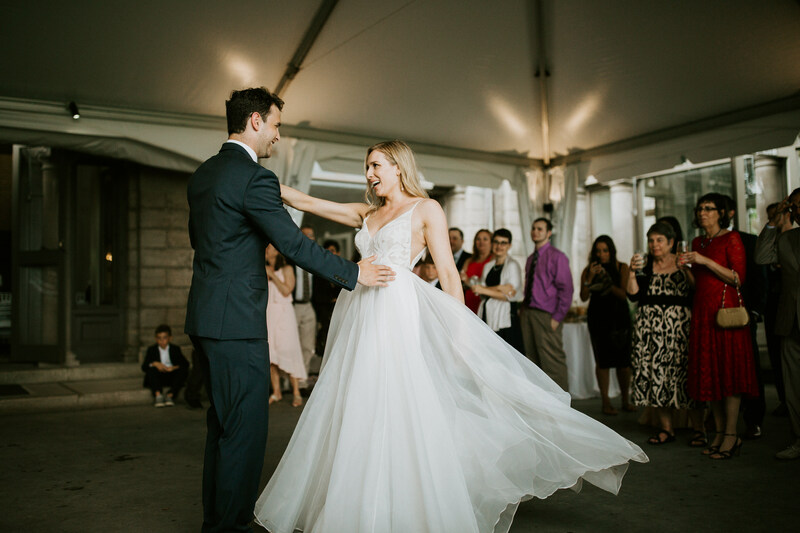 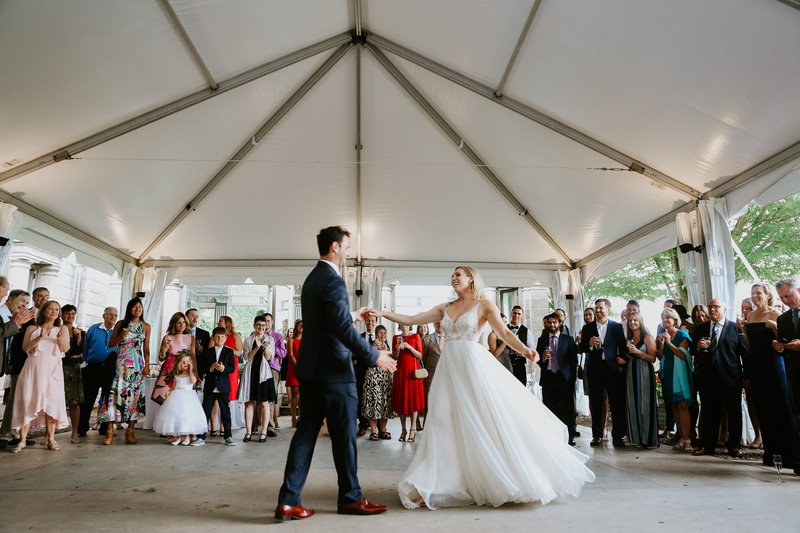 Together Melissa and Coury’s friends and family joined their intimate summer wedding at Eolia Mansion at Harkness Park. 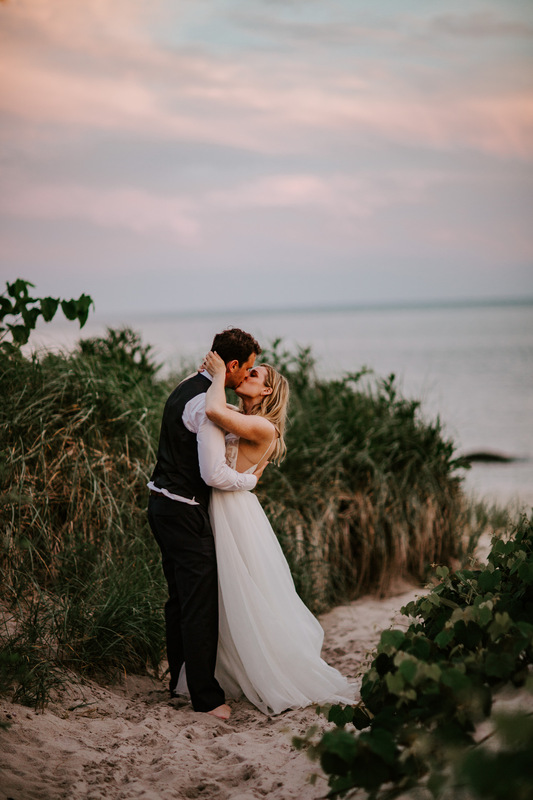 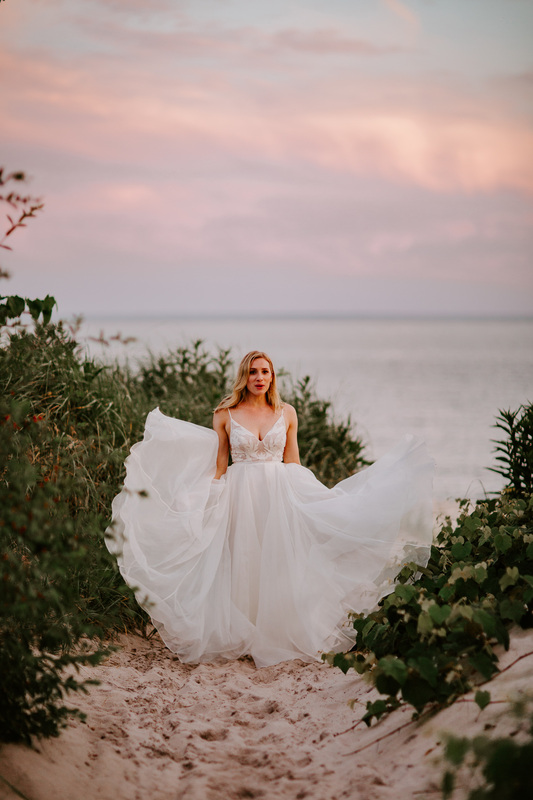 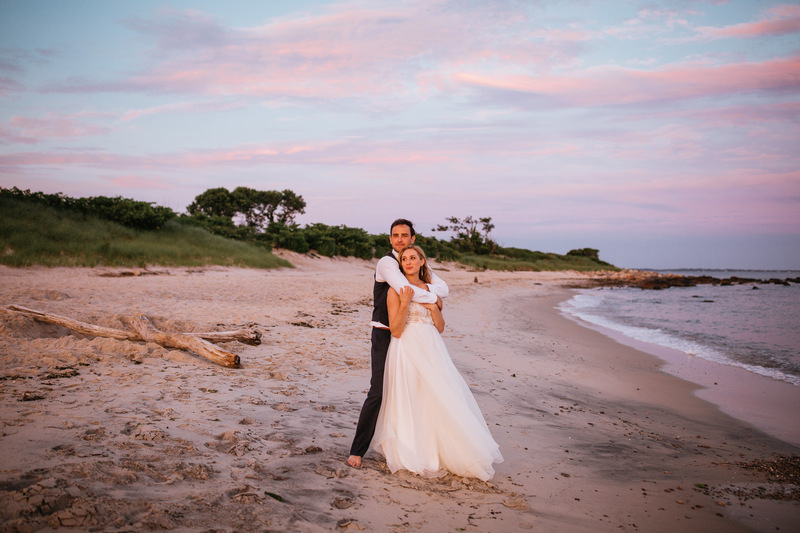 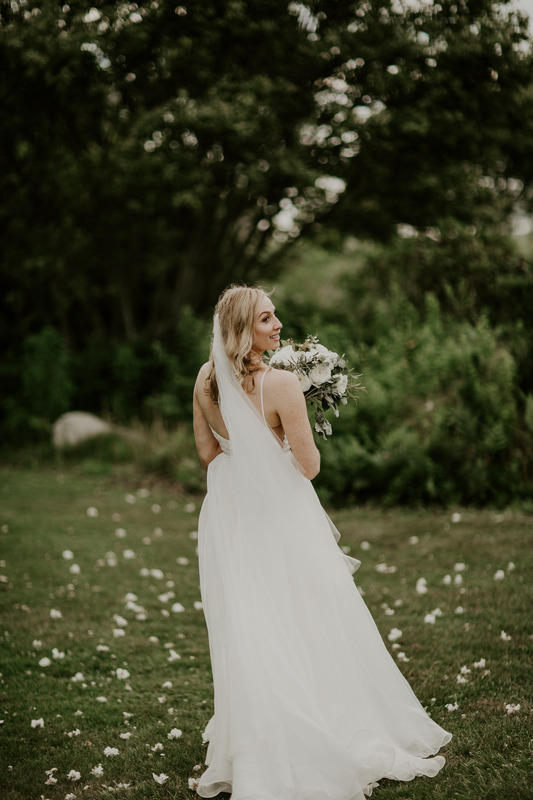 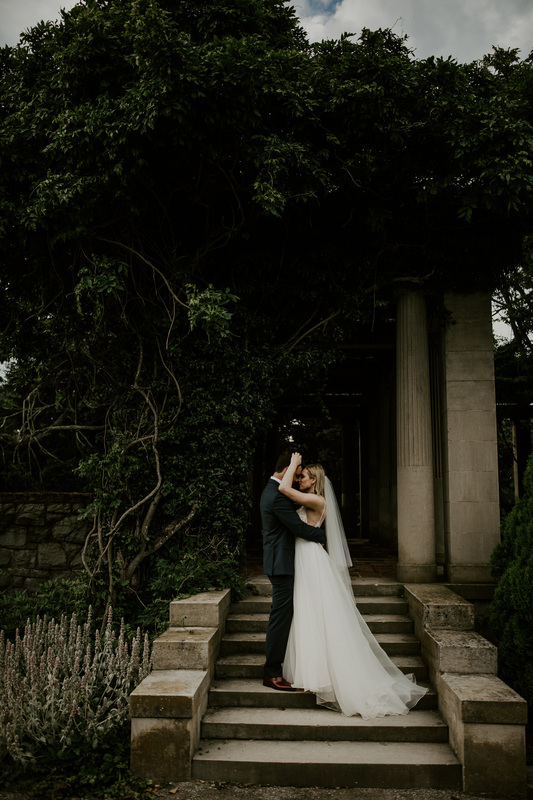 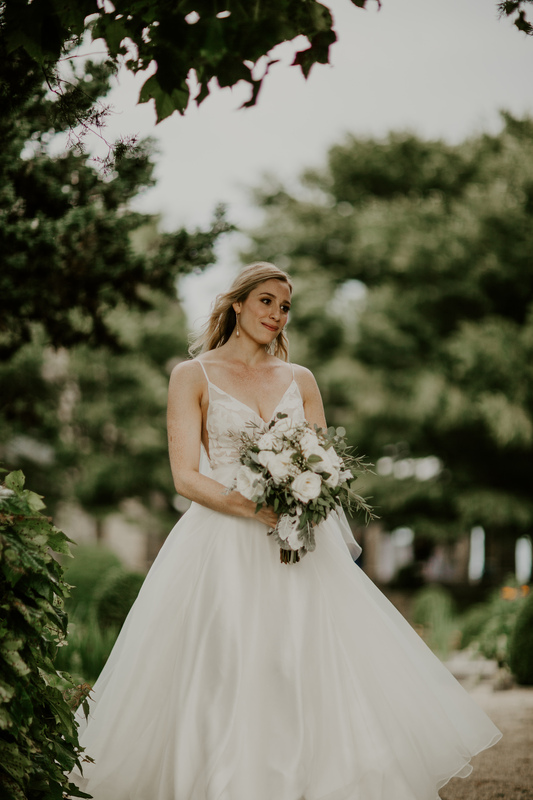 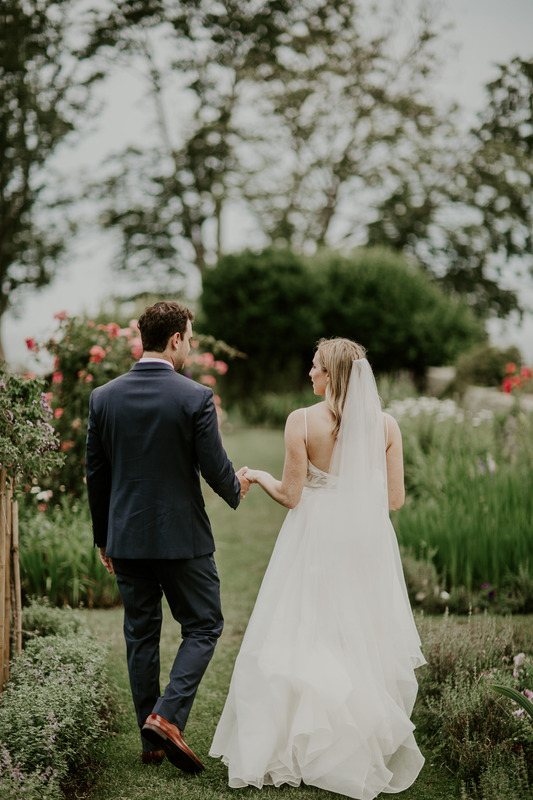 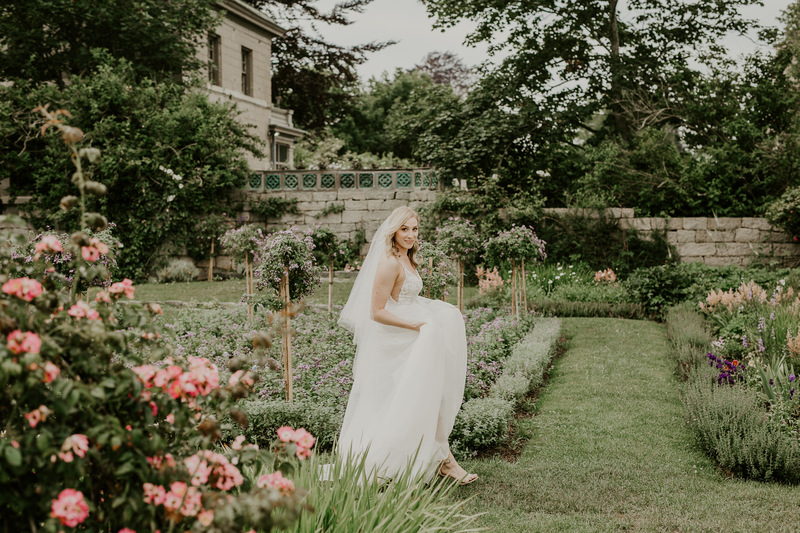 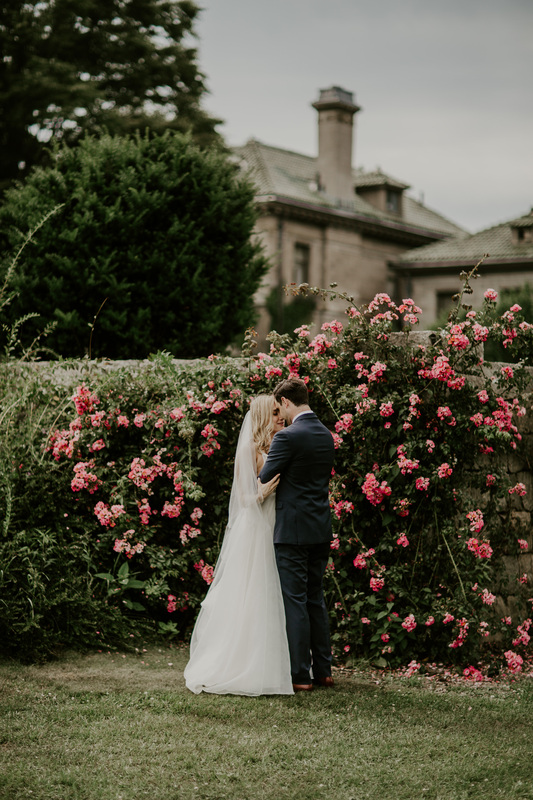 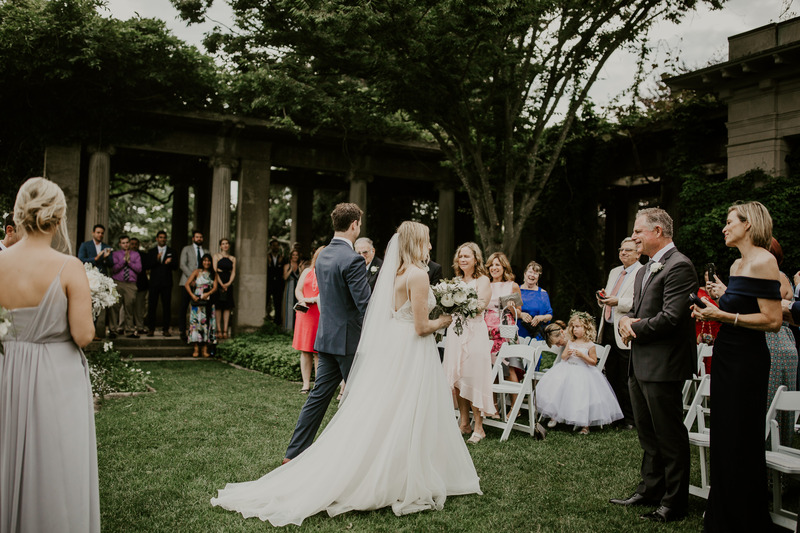 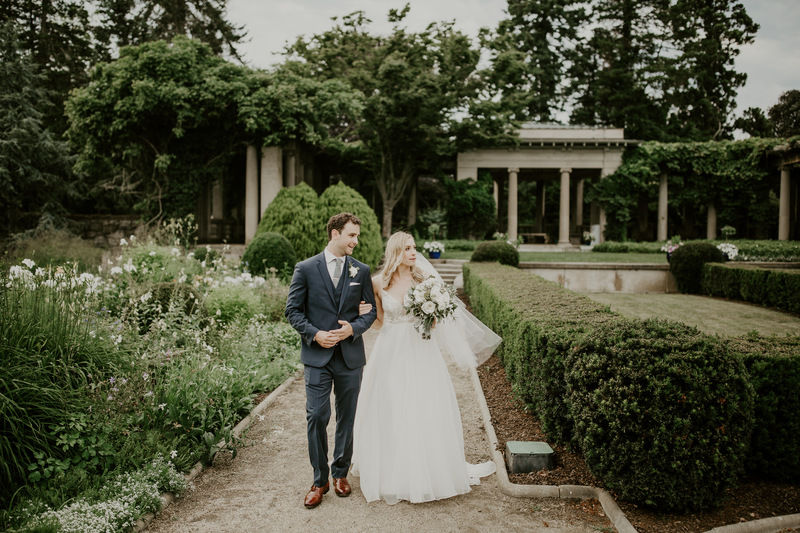 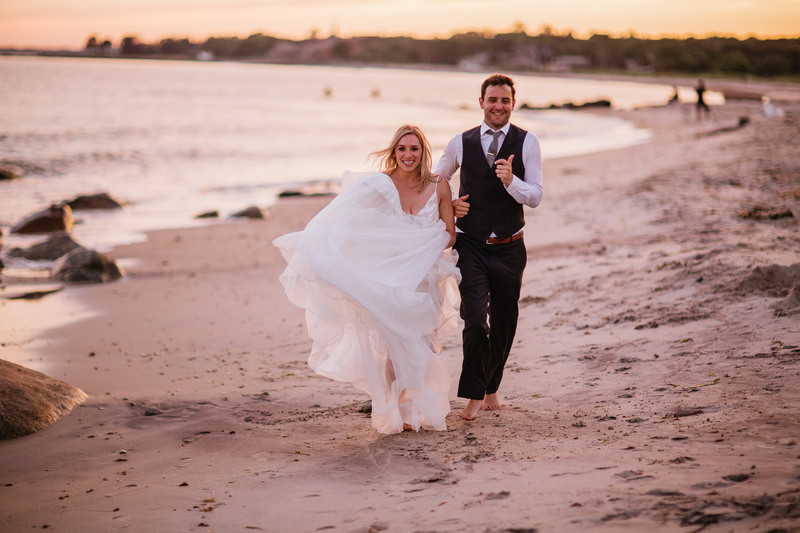 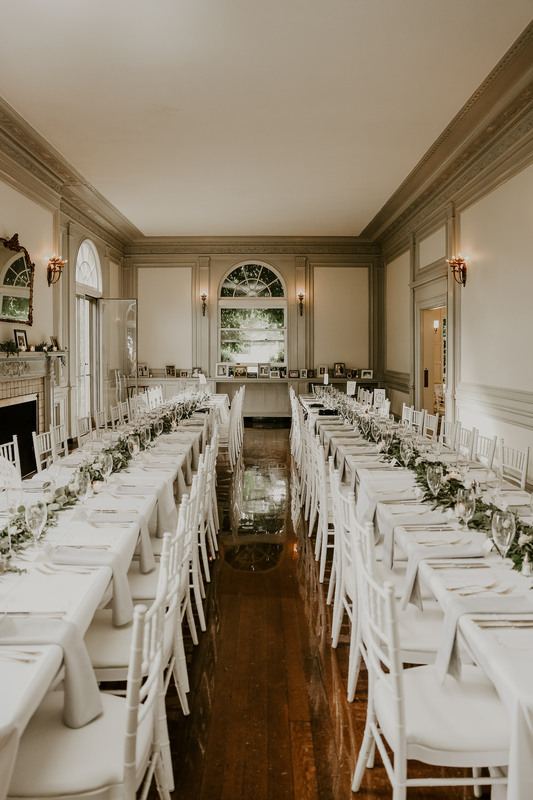 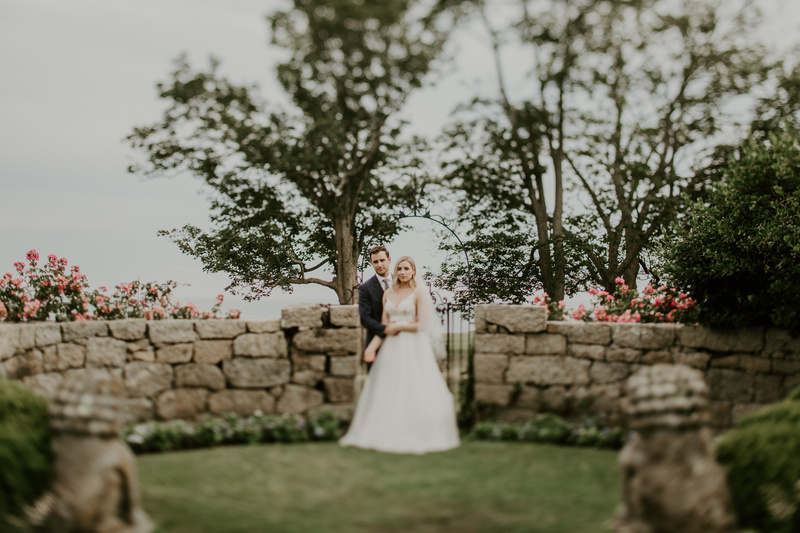 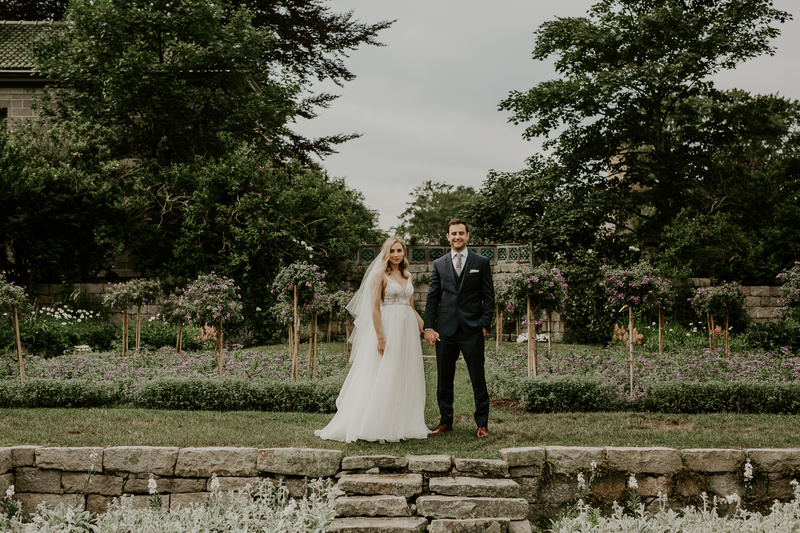 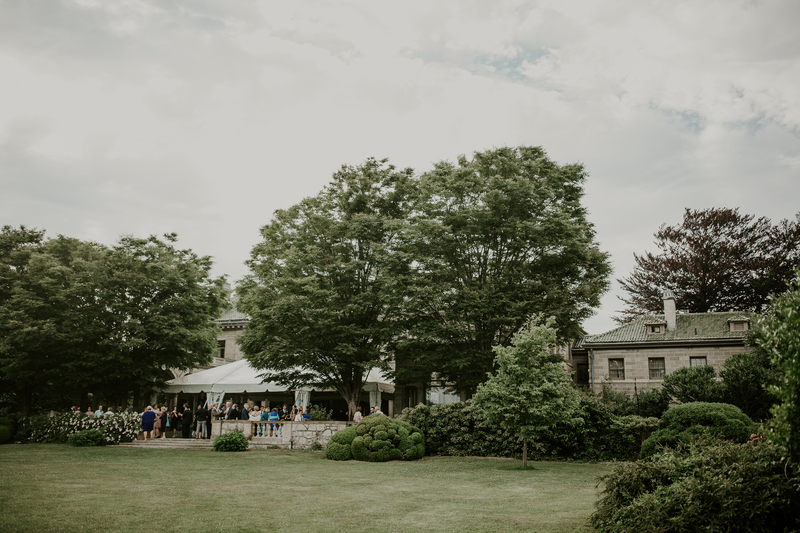 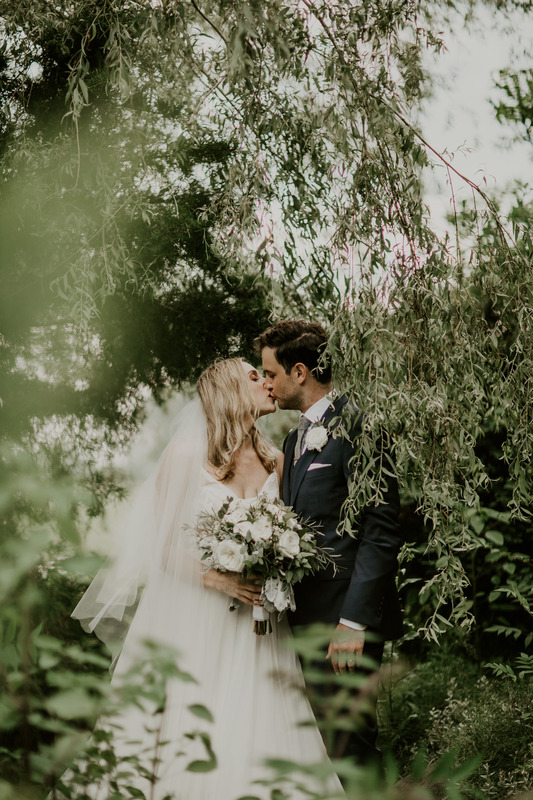 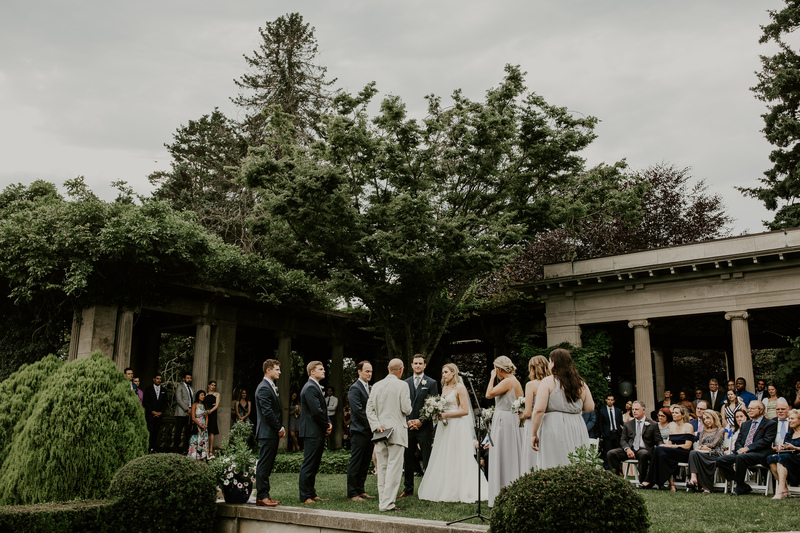 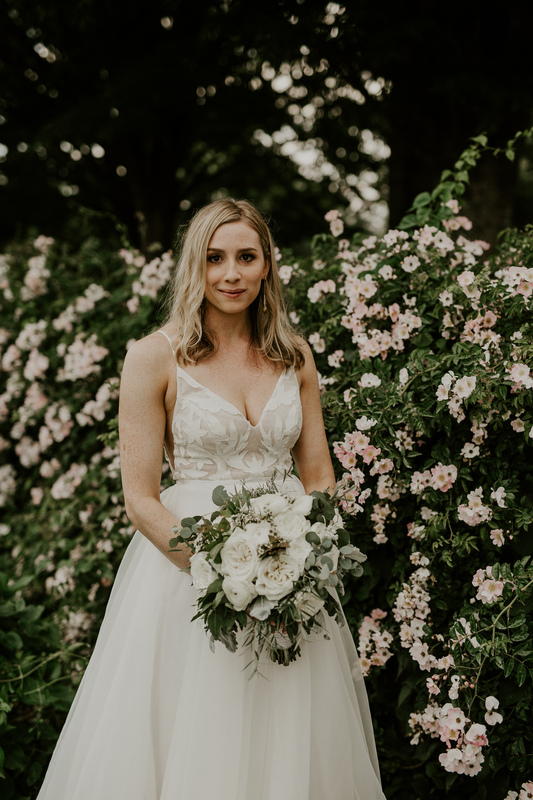 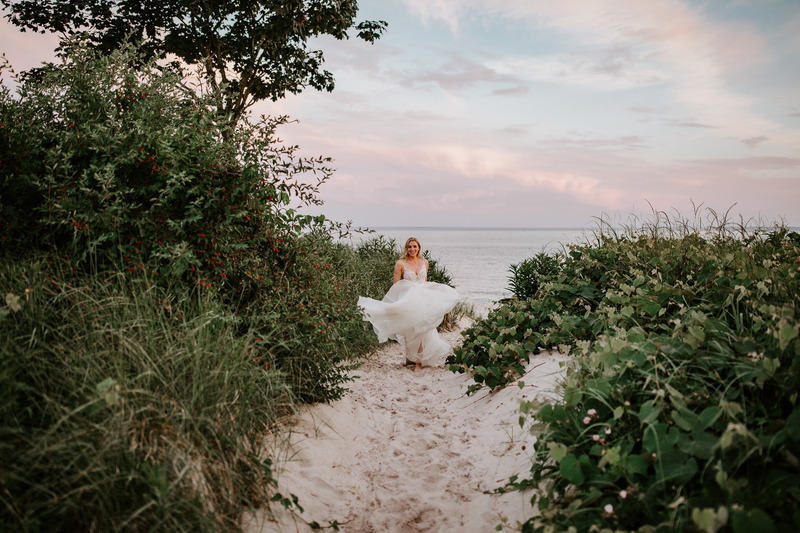 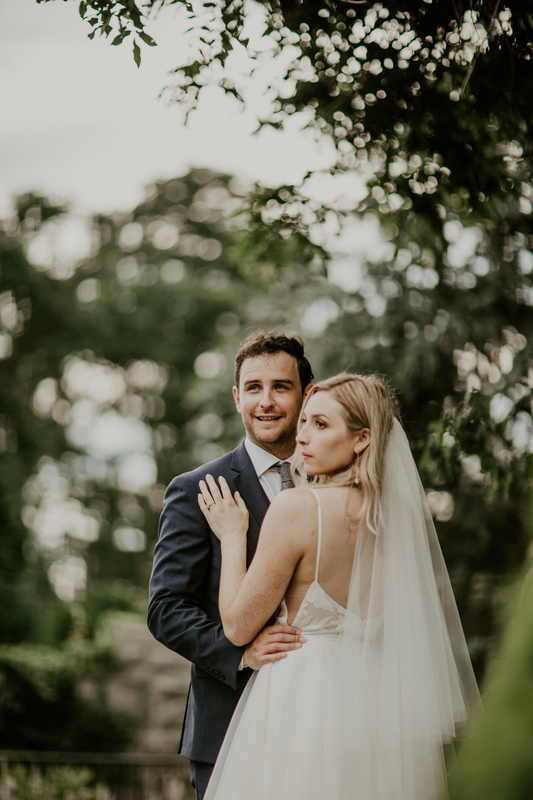 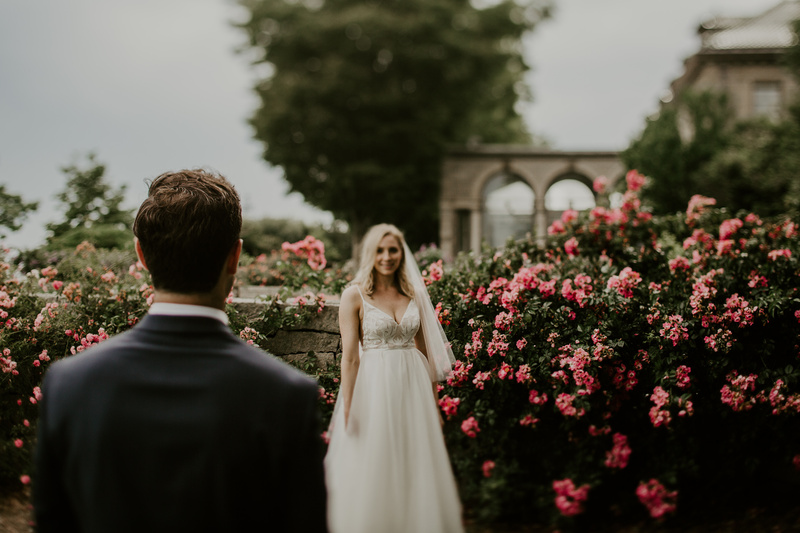 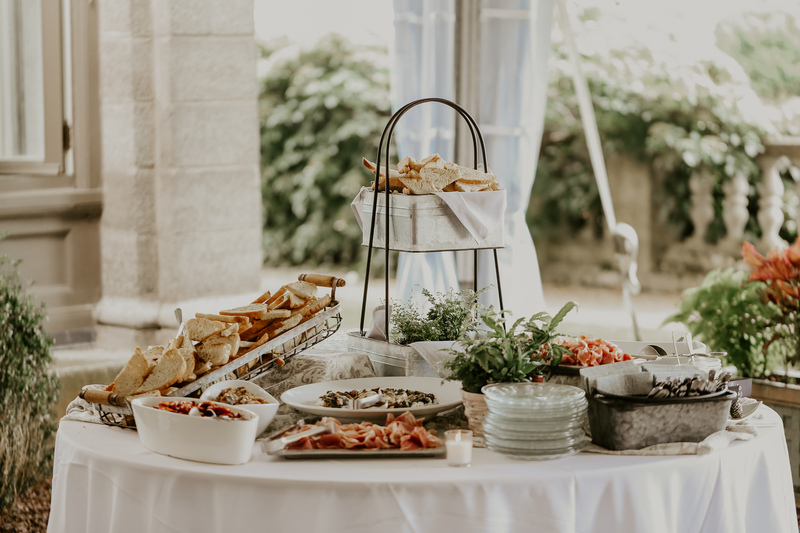 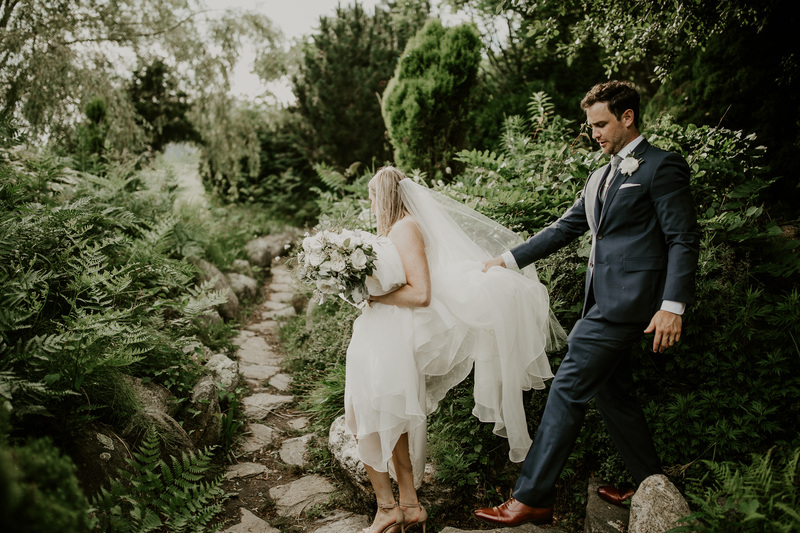 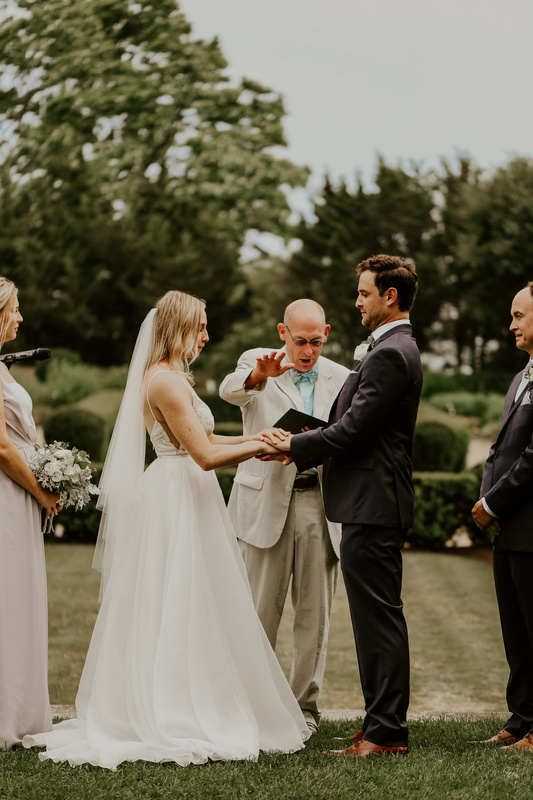 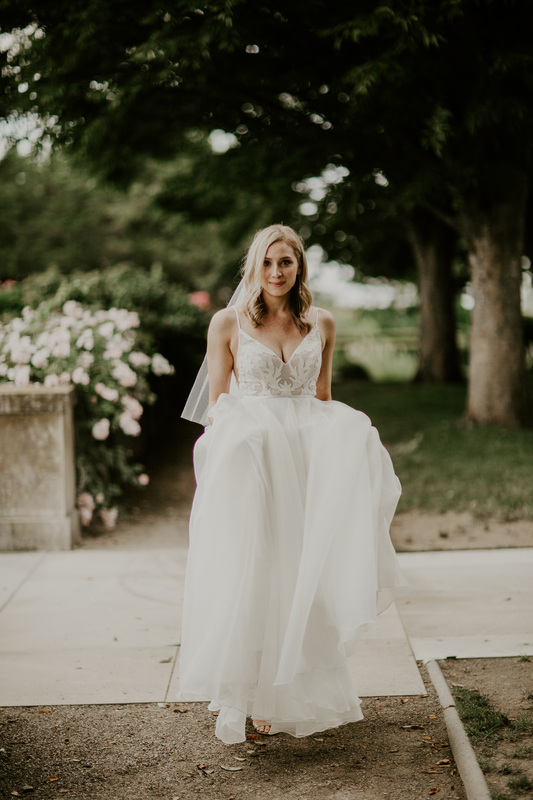 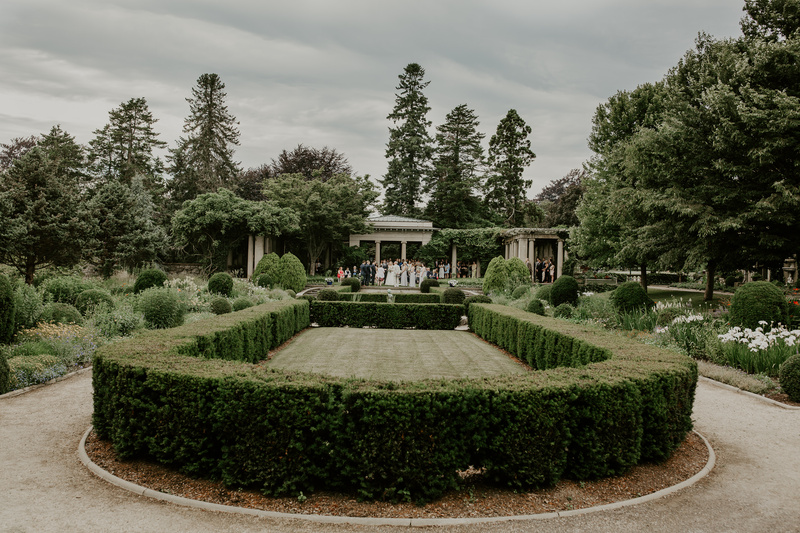 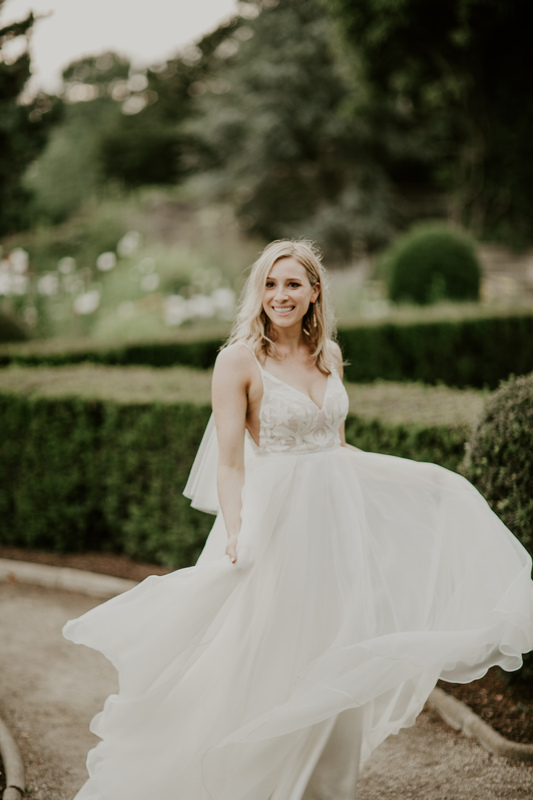 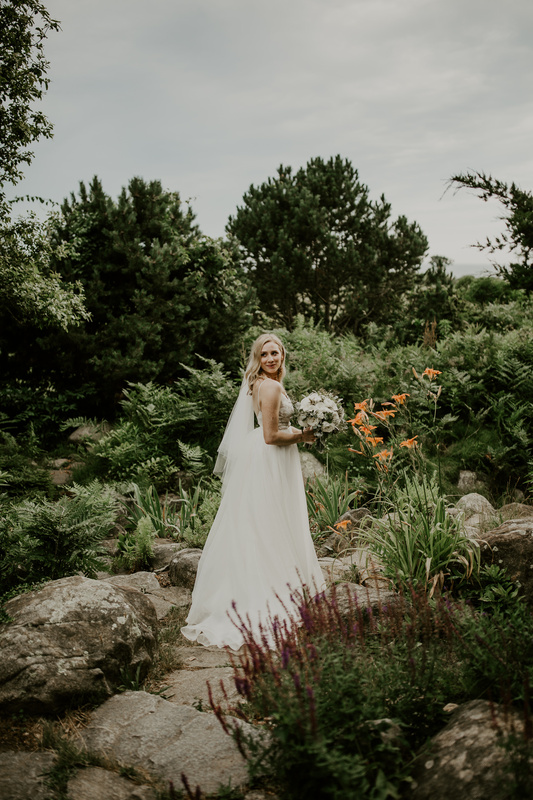 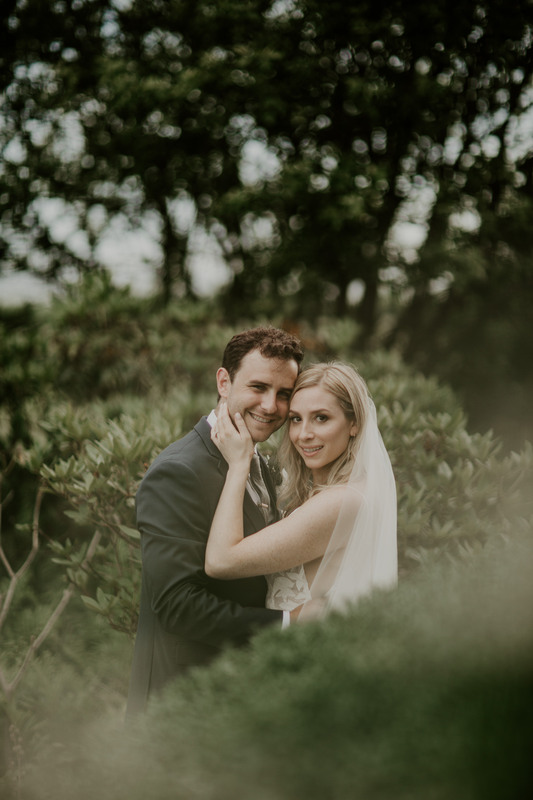 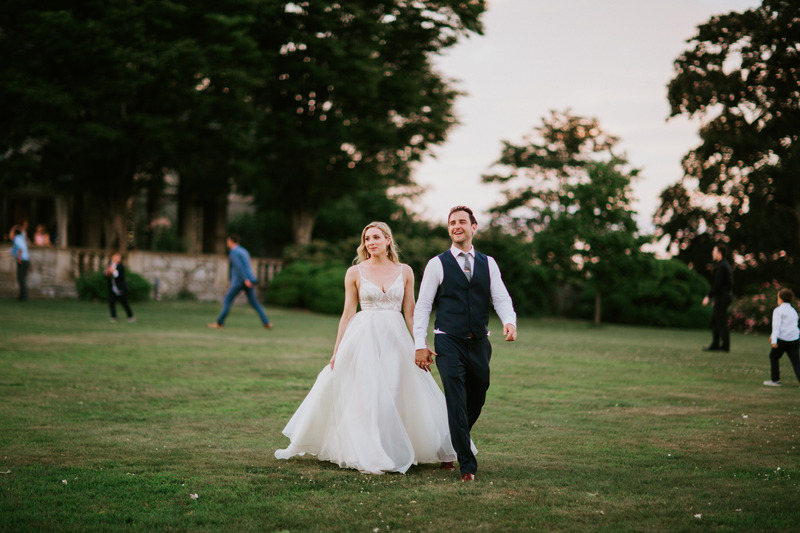 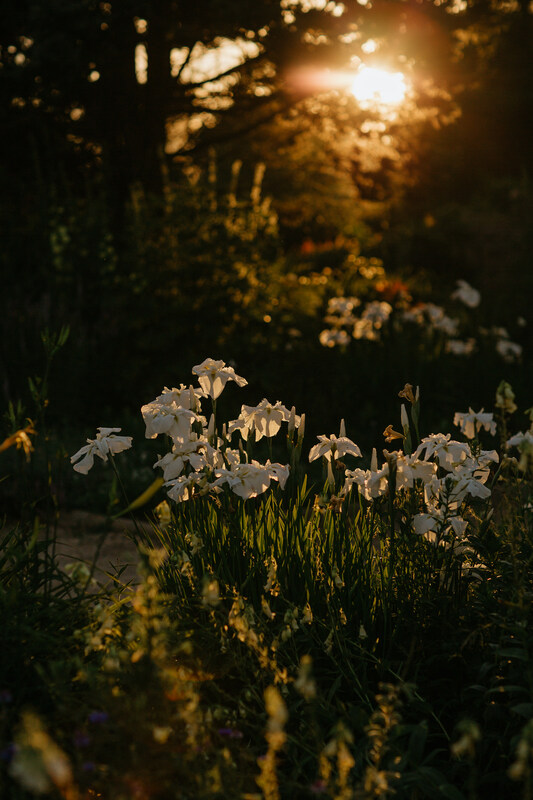 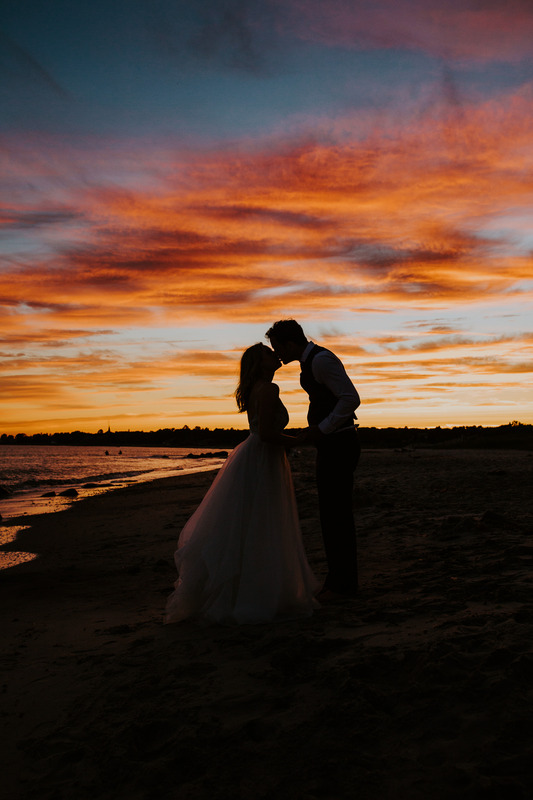 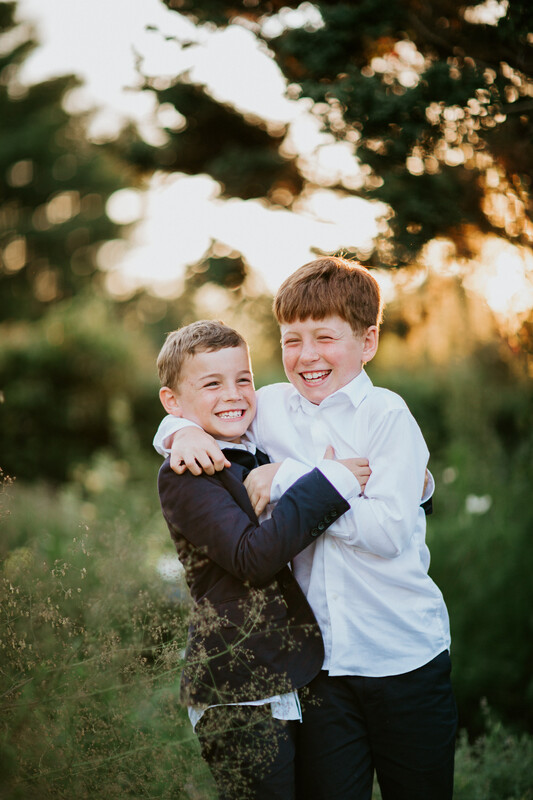 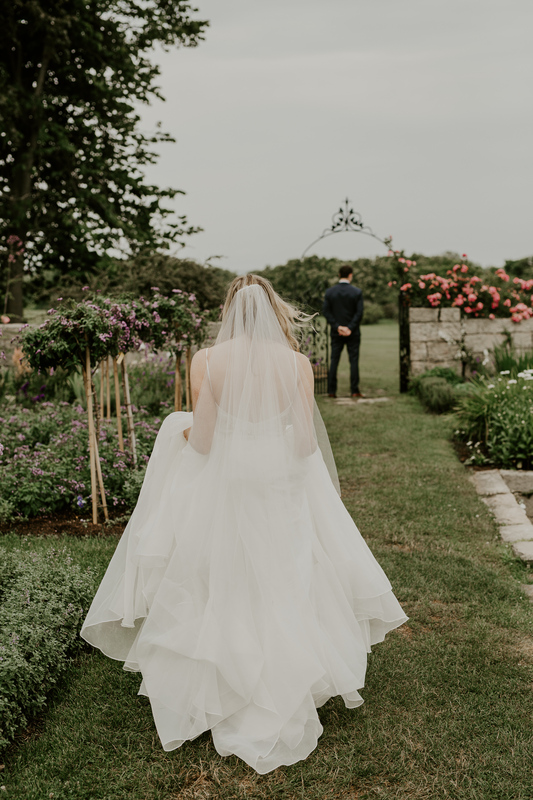 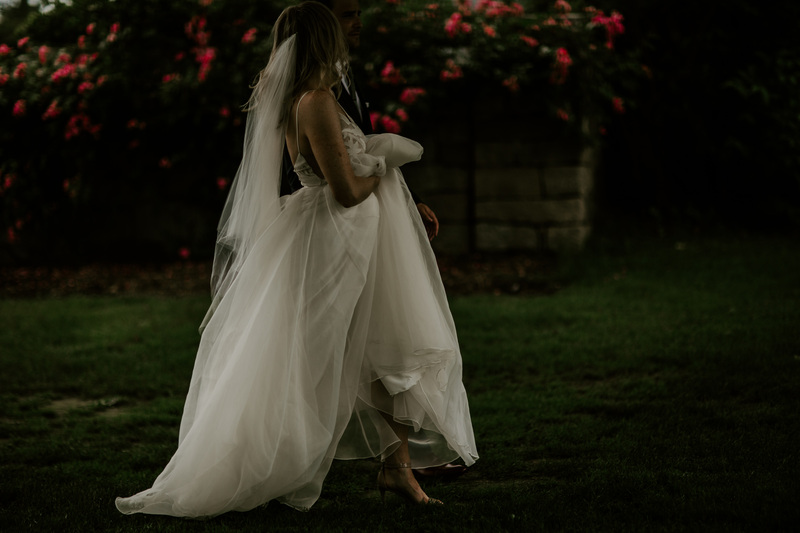 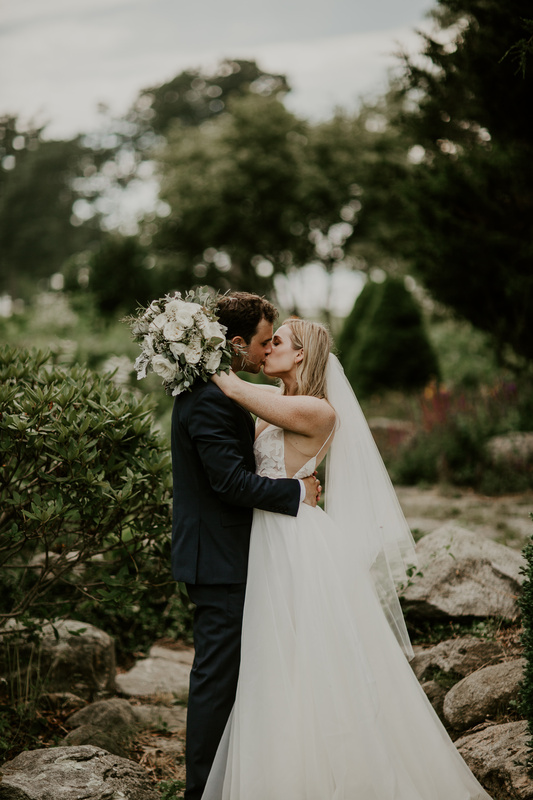 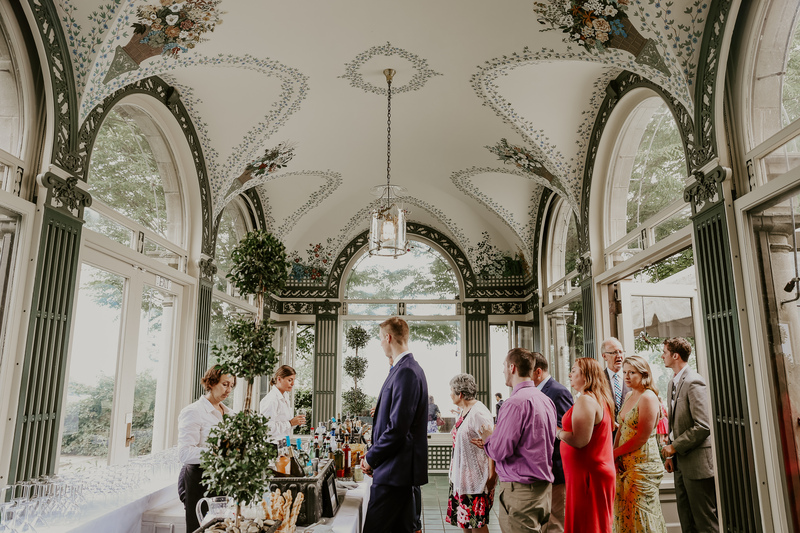 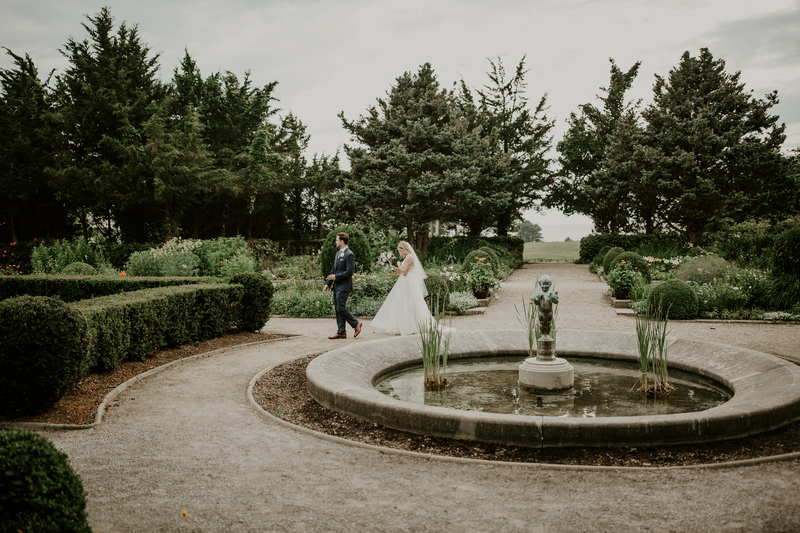 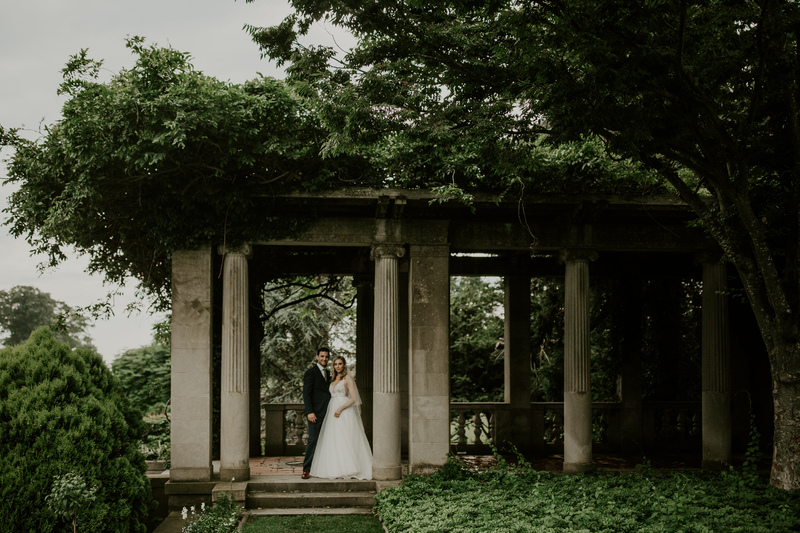 One of the most exquisite venues in Connecticut to have a beautiful historic estate and garden wedding with the beach nearby to sneak off for a golden hour sunset photos. 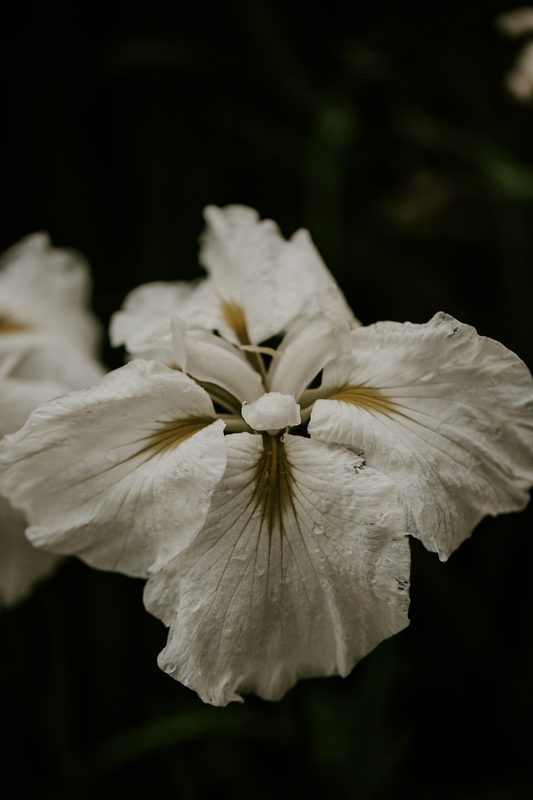 The rain had been predicted all week and it down poured earlier in the day. 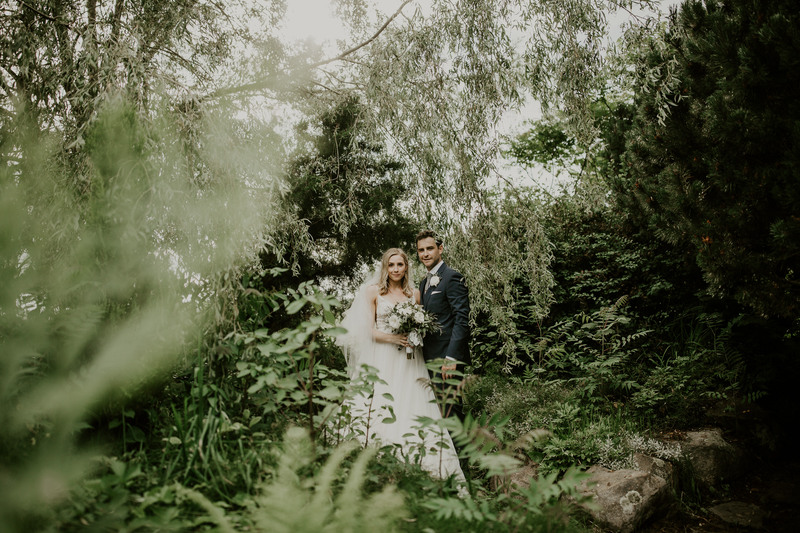 Thank goodness it stopped in time for their first look in the secret garden. 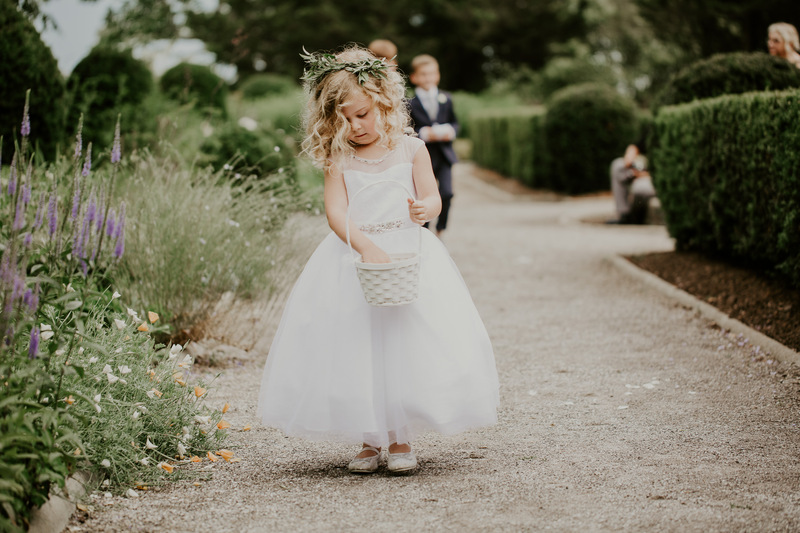 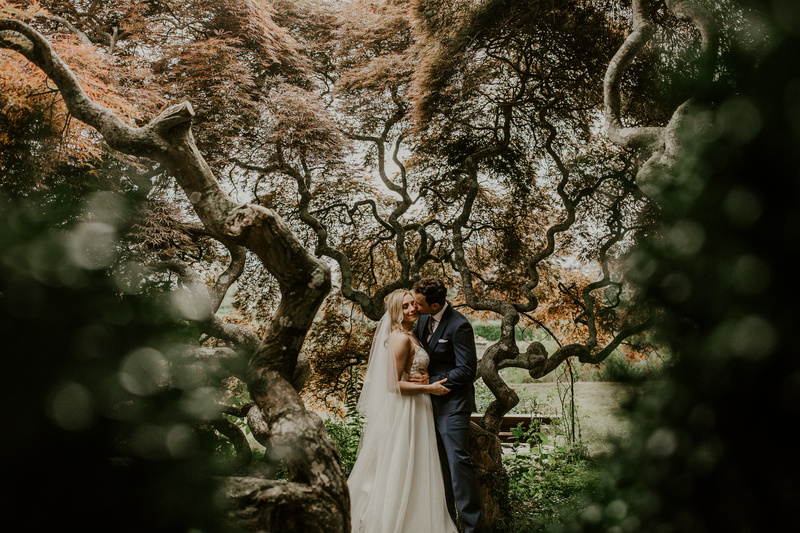 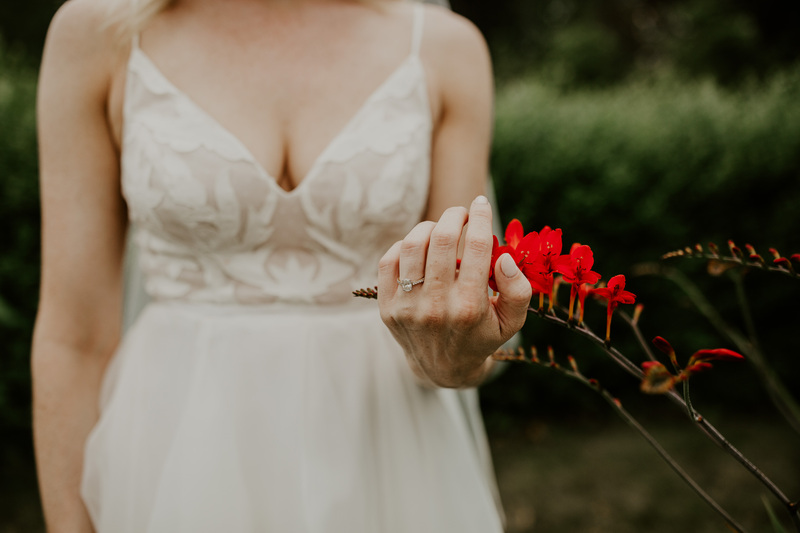 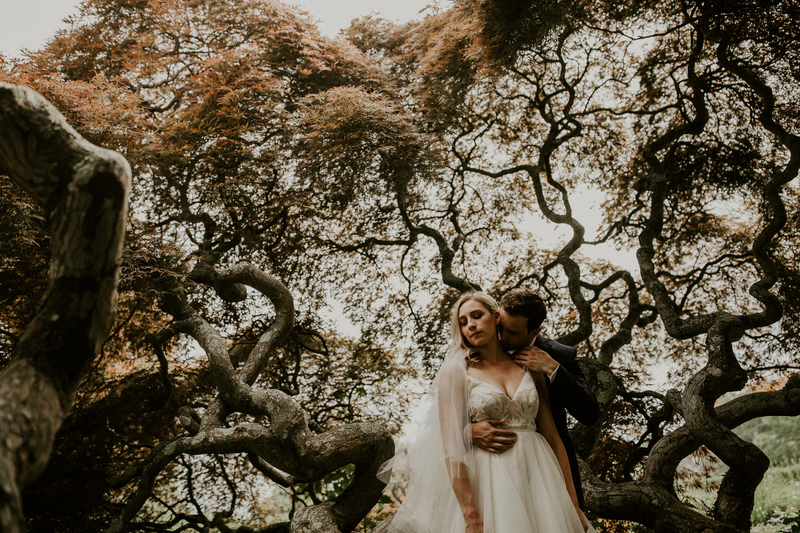 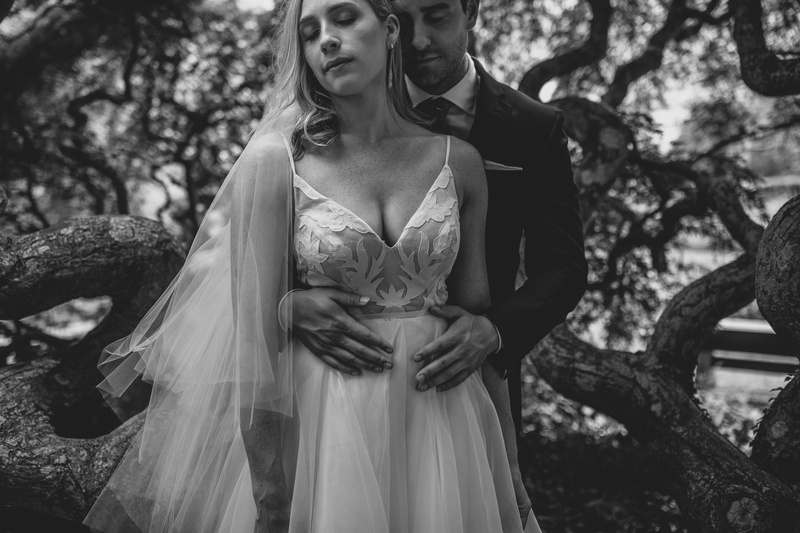 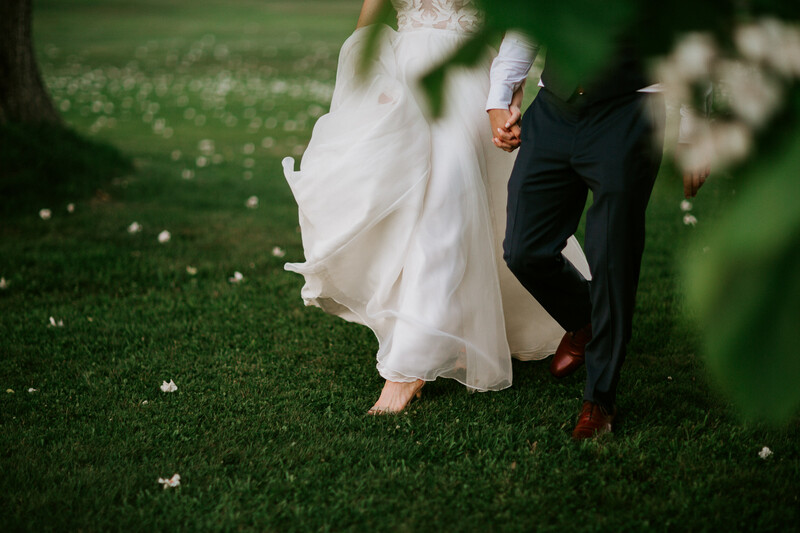 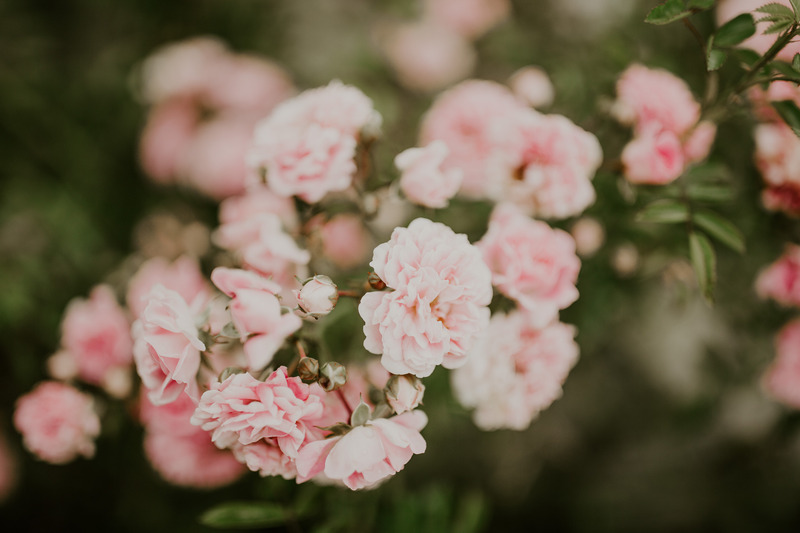 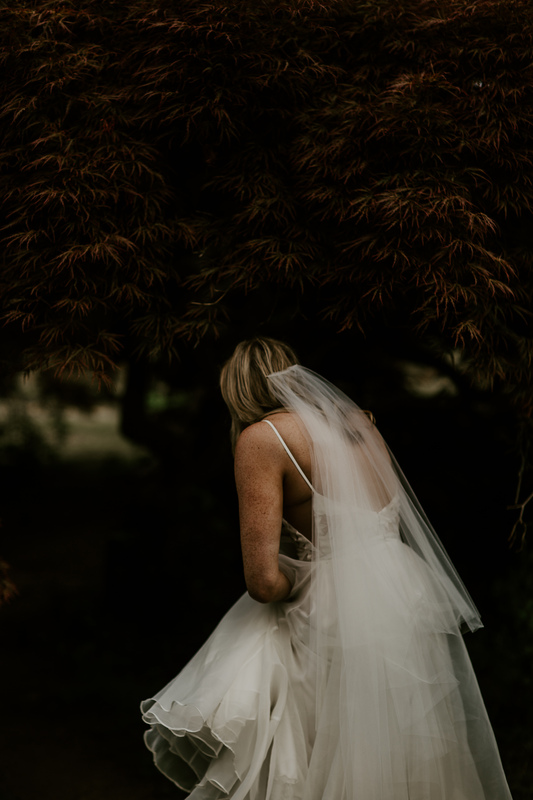 We wandered off to my favorite Japanese maple tree for magical portraits and then assembled the family and bridal party for photos before the ceremony. 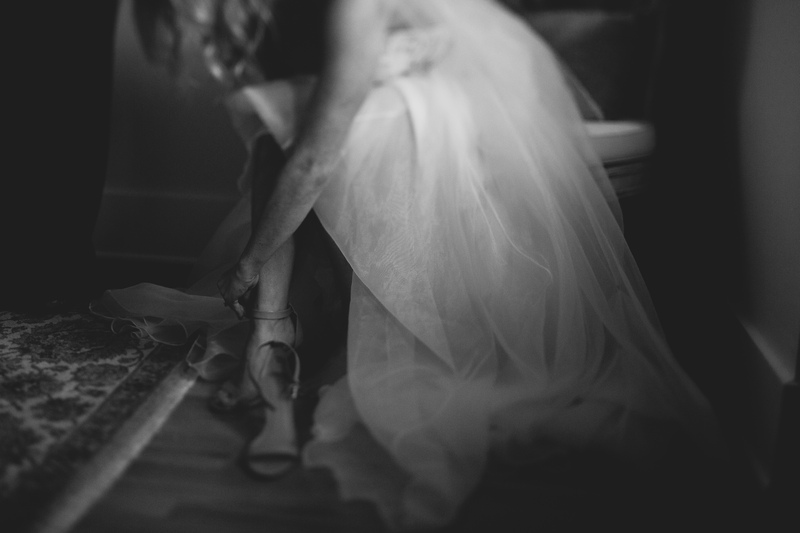 There was even enough time to freshen up before Melissa walked down the garden path to her beloved. 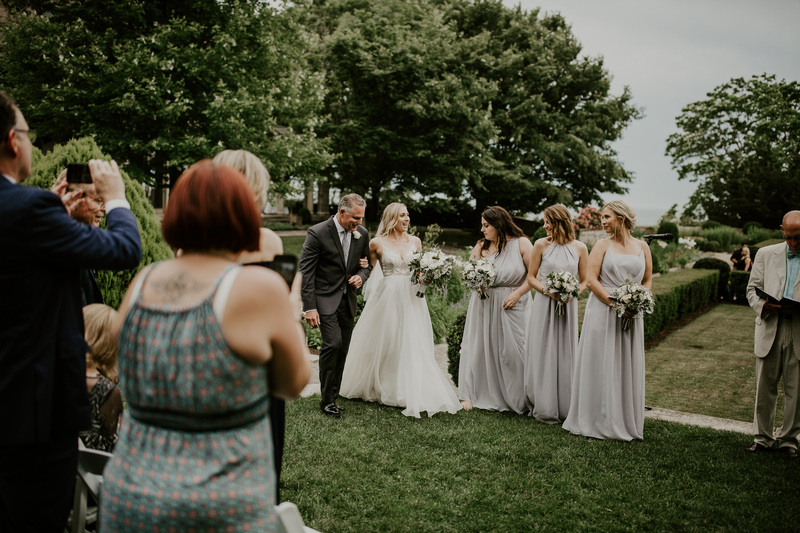 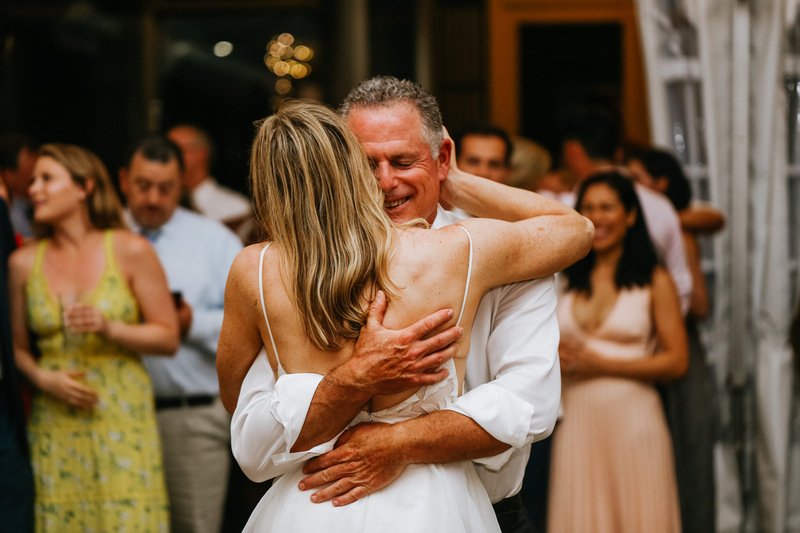 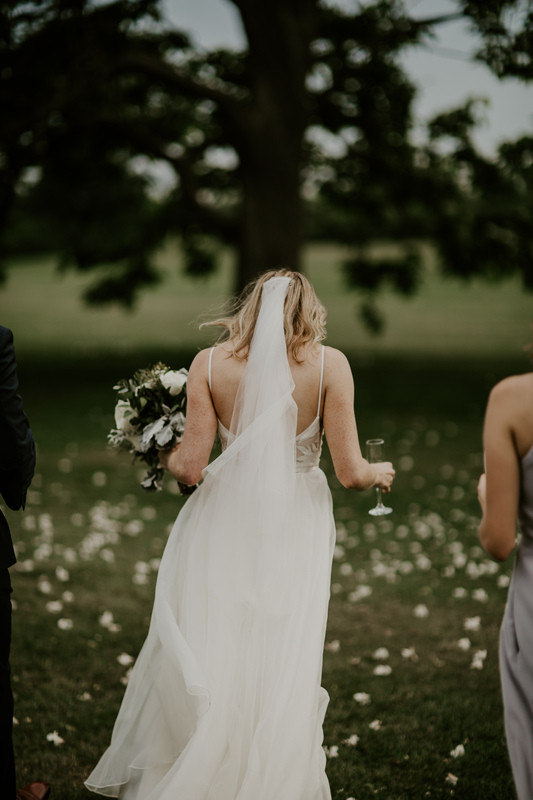 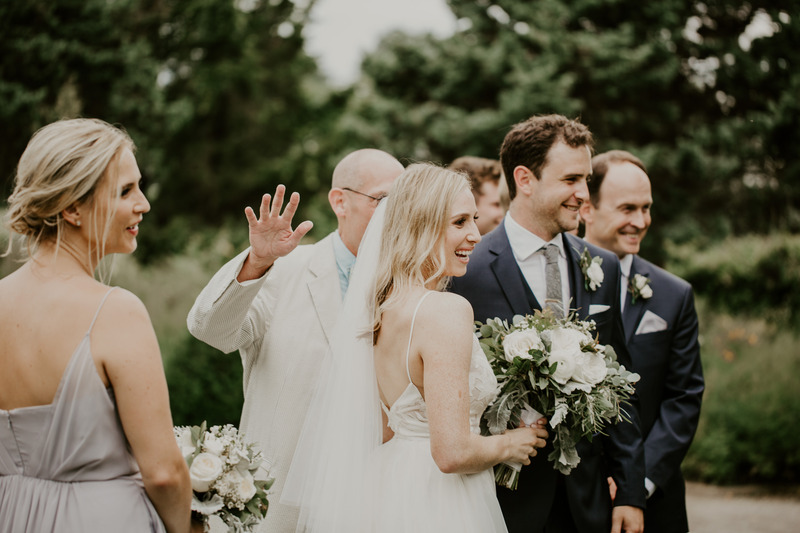 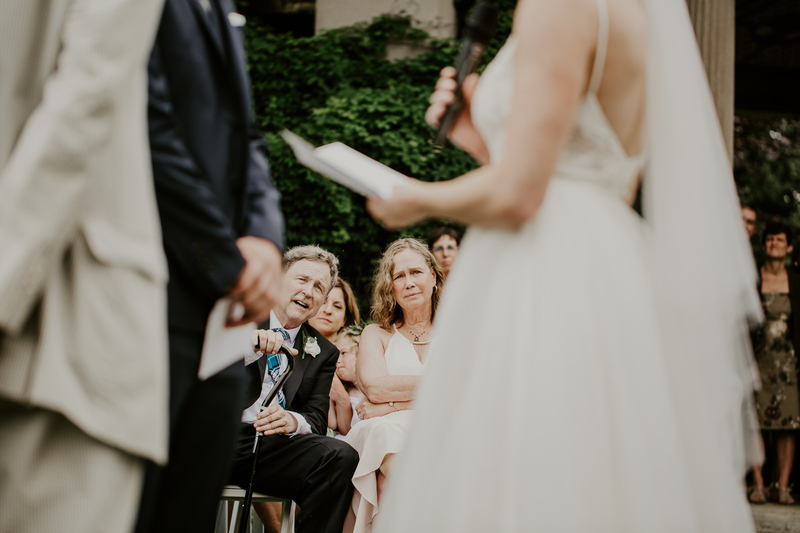 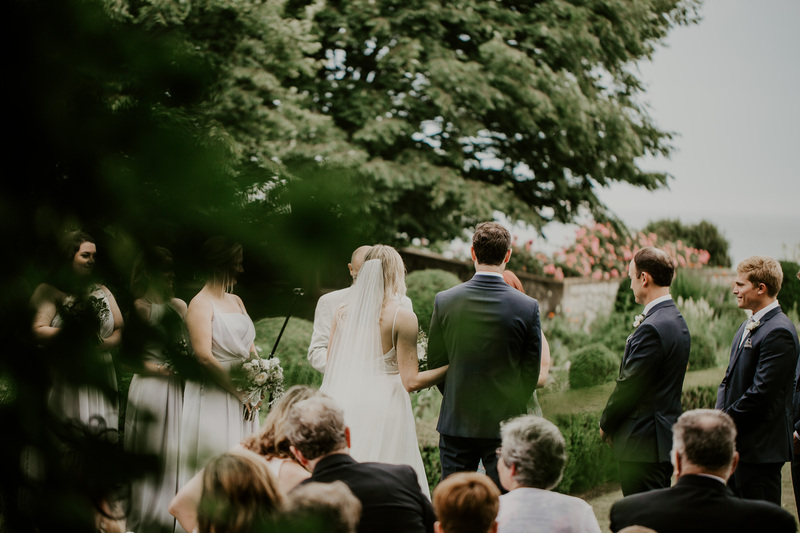 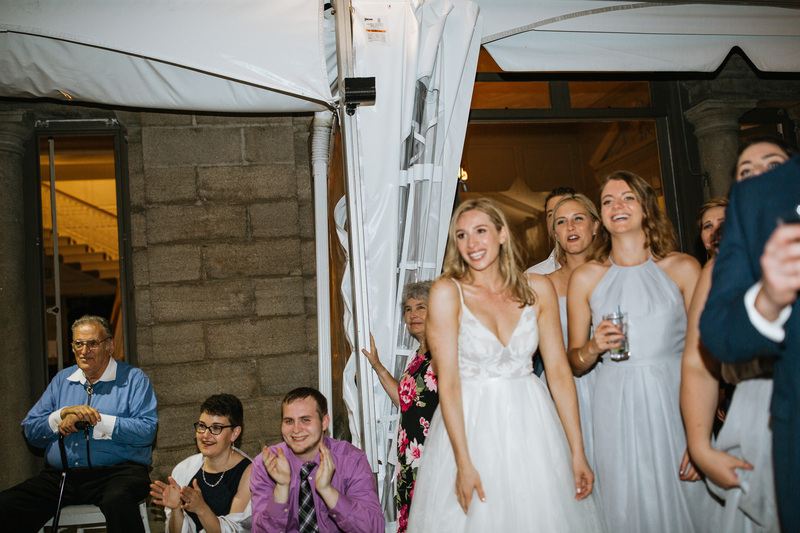 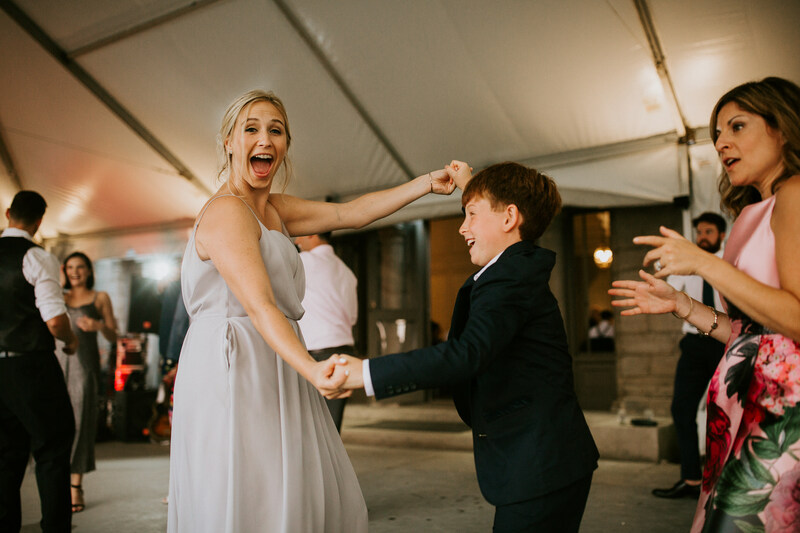 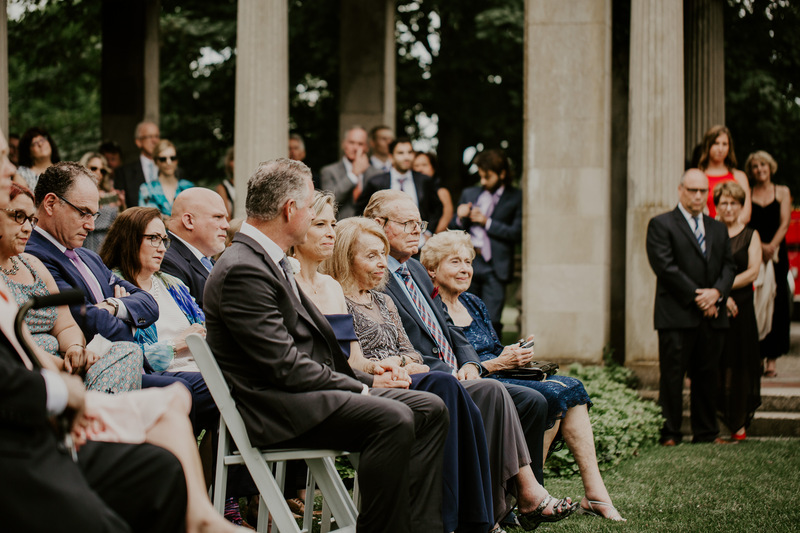 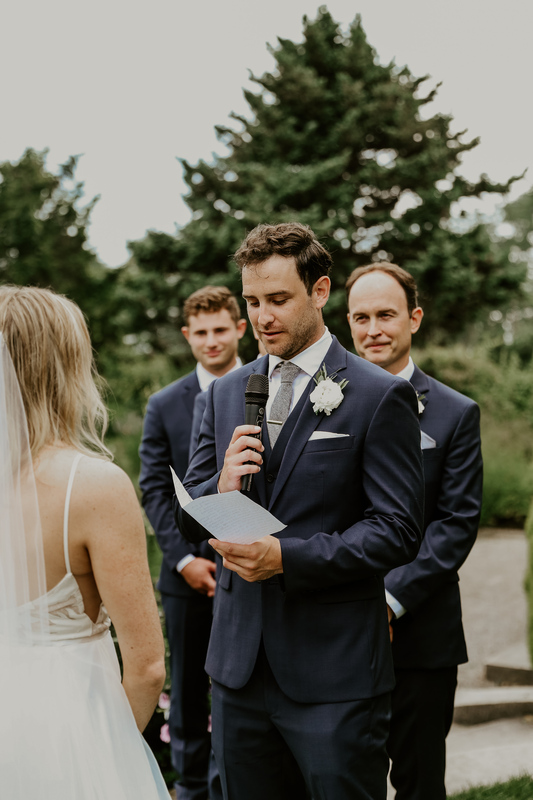 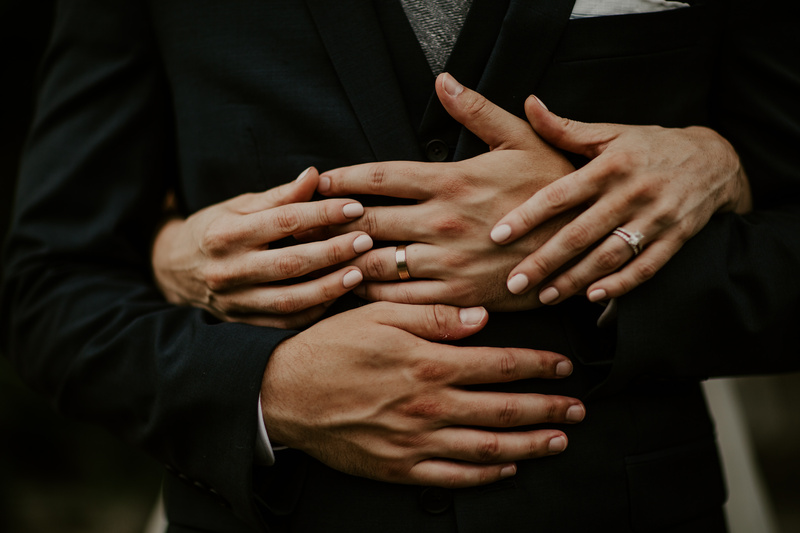 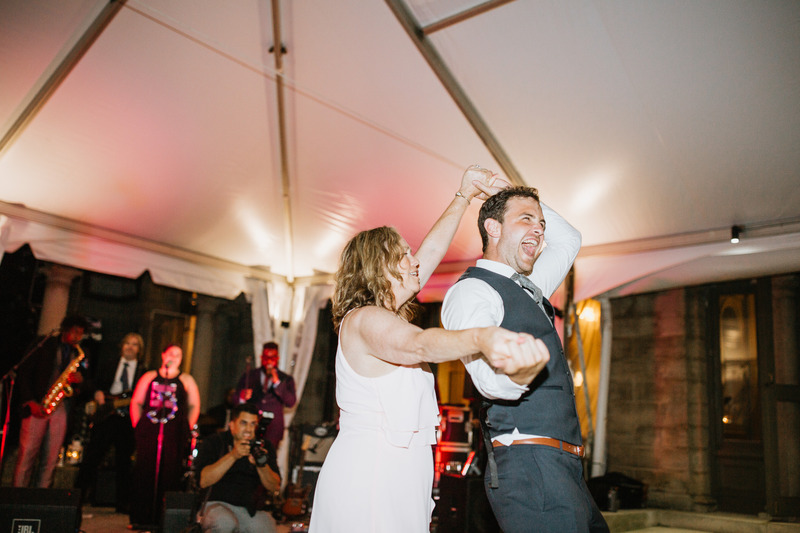 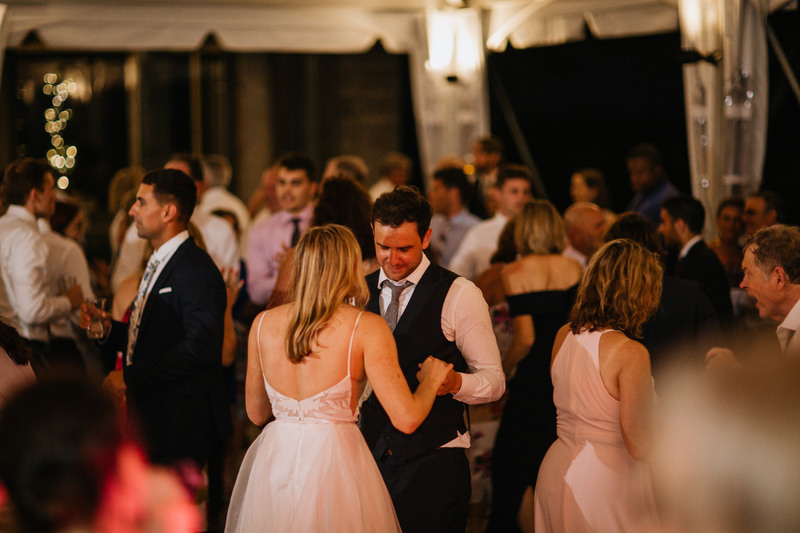 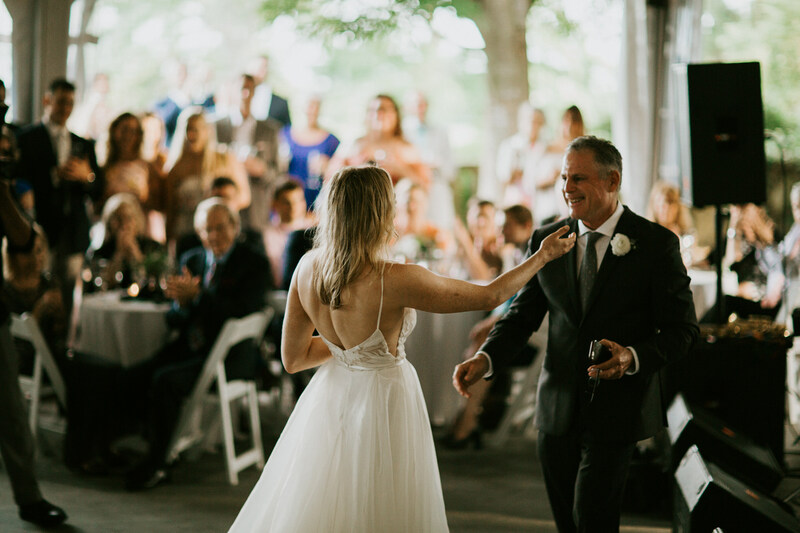 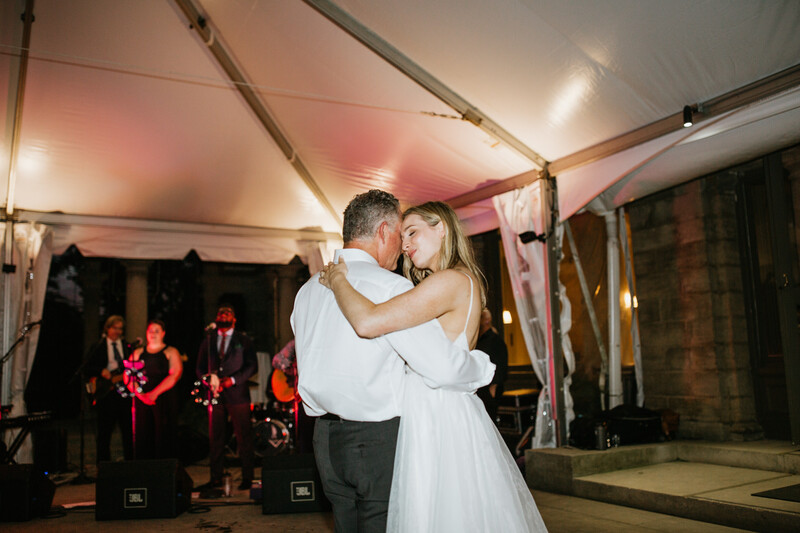 It was important for this couple to be surrounded by friends and family and enjoy every moment with them. 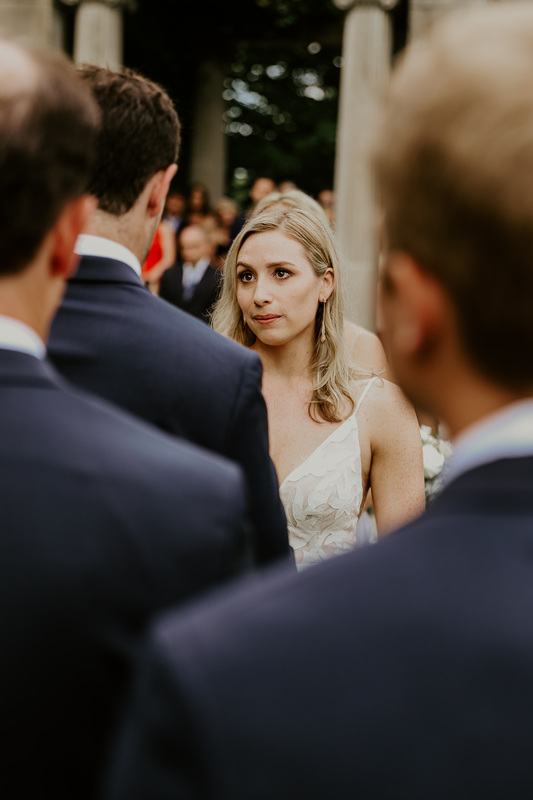 Doing a first look made perfect sense that allowed them time to socialize with all their guests at cocktail hour. 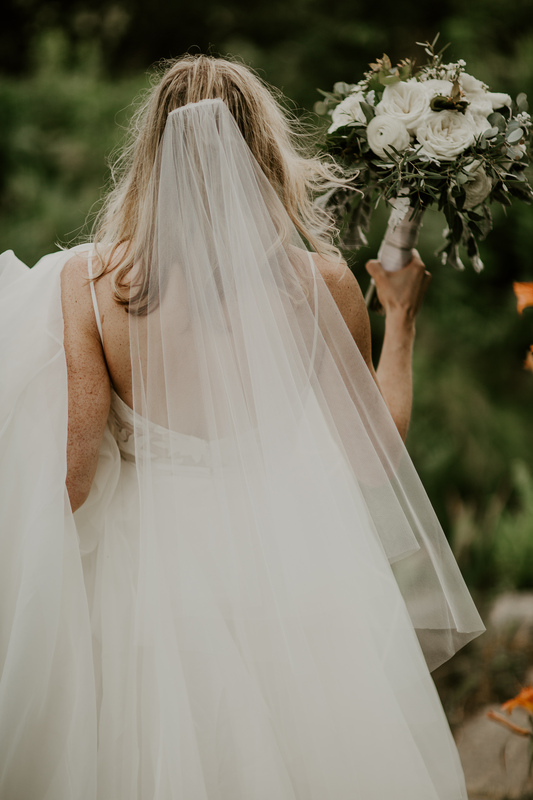 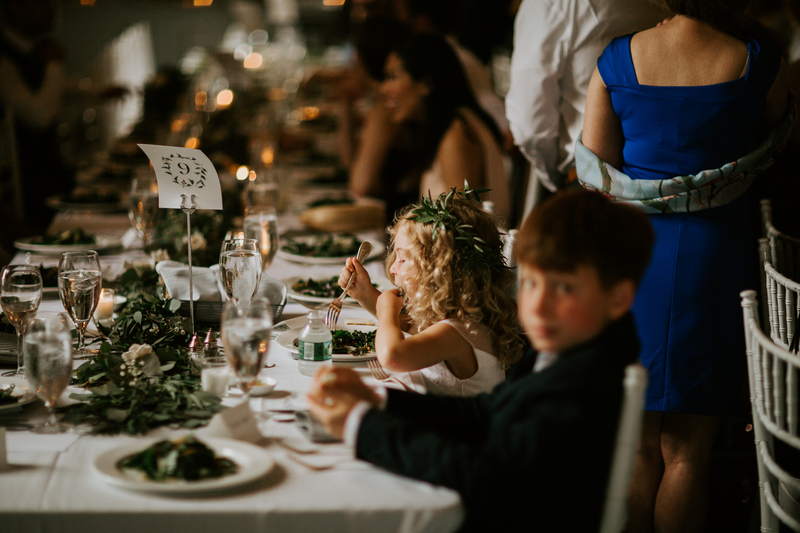 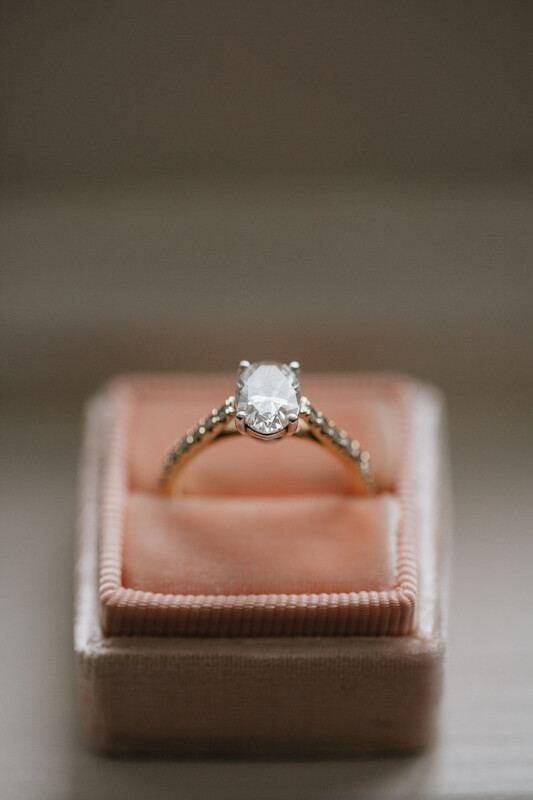 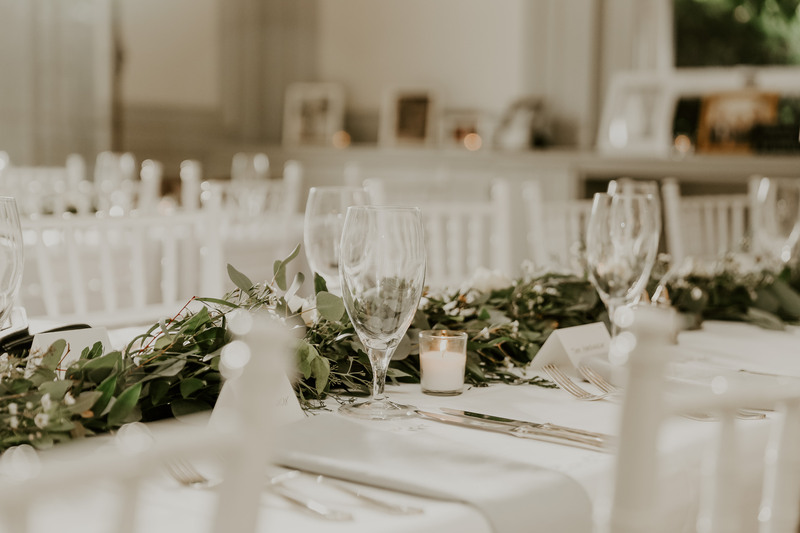 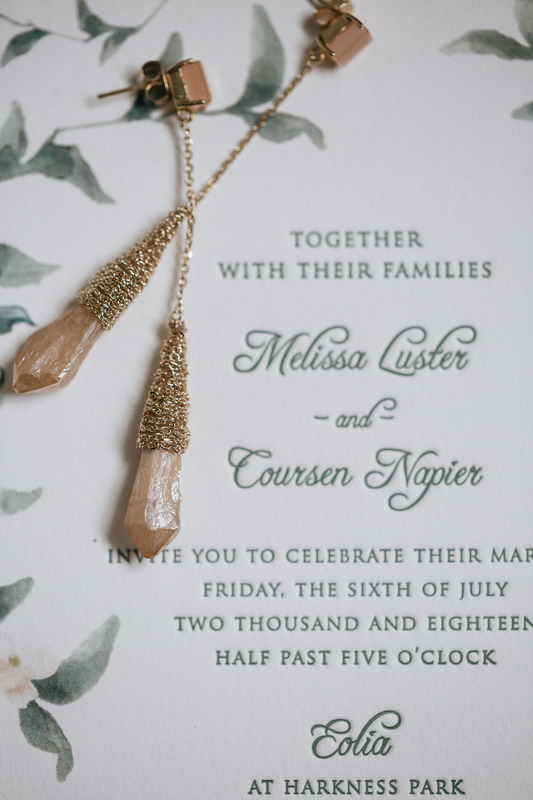 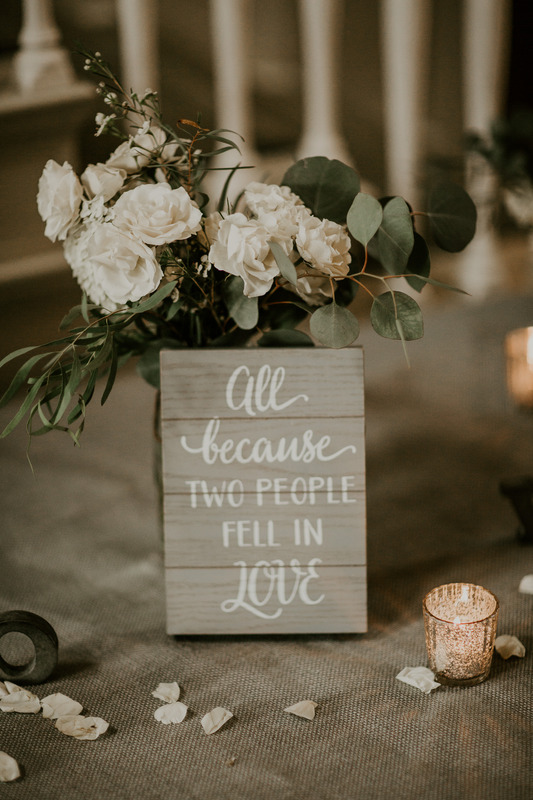 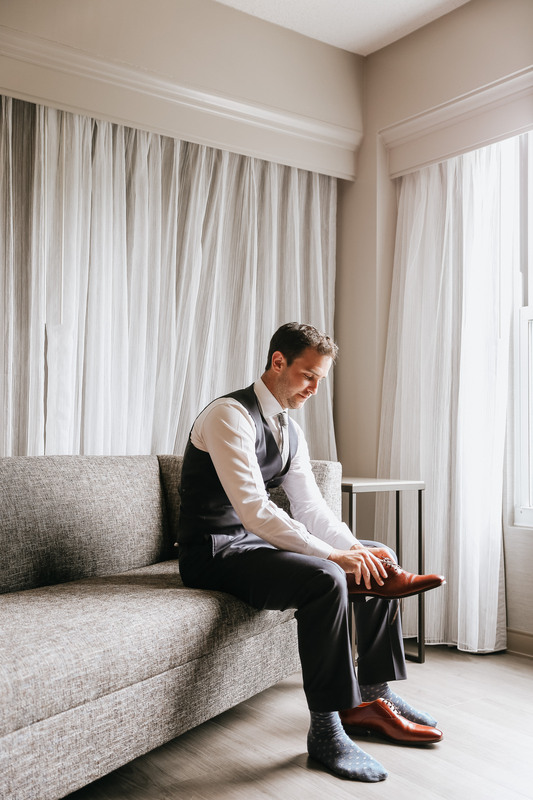 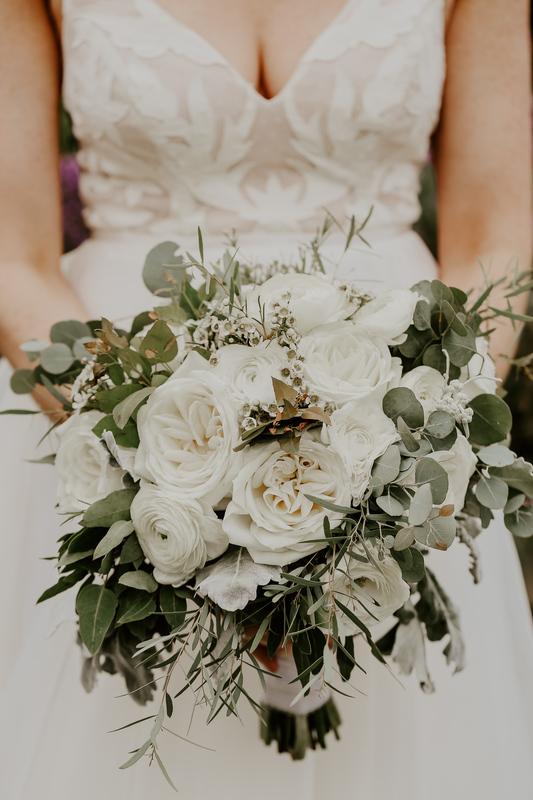 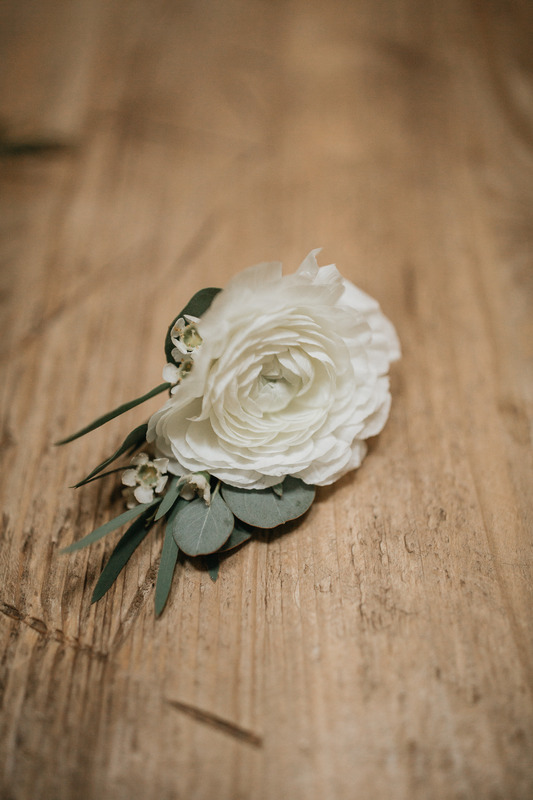 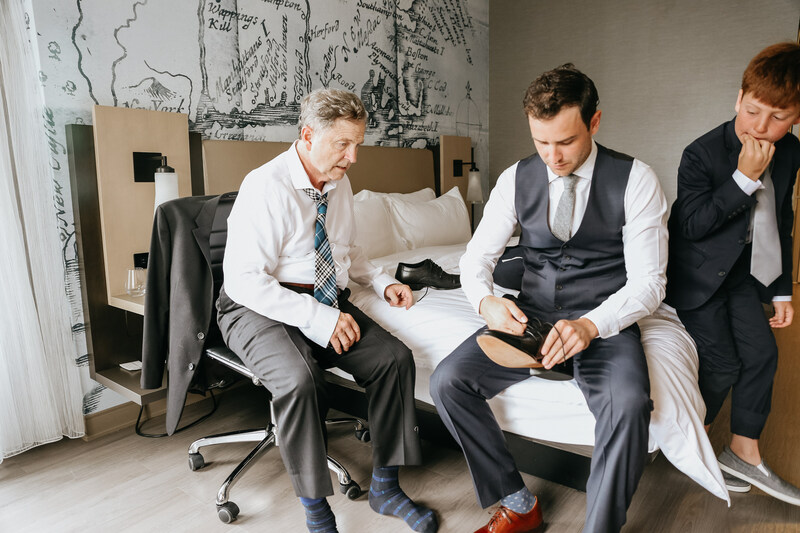 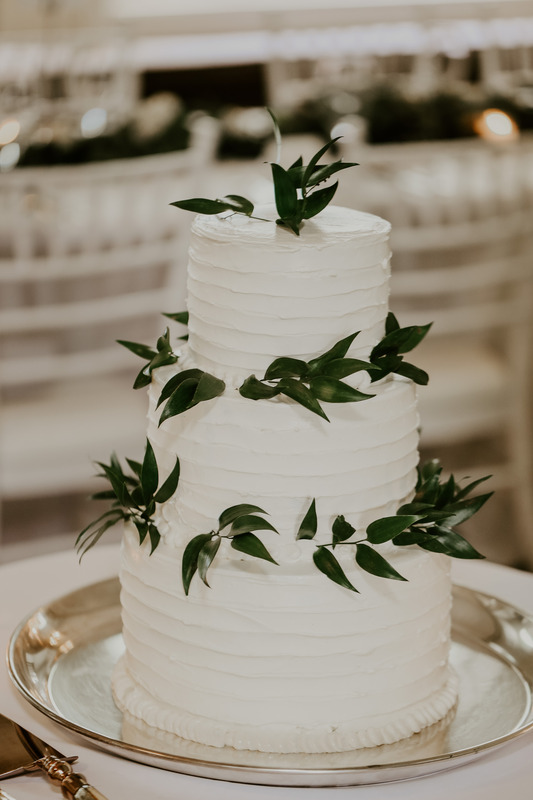 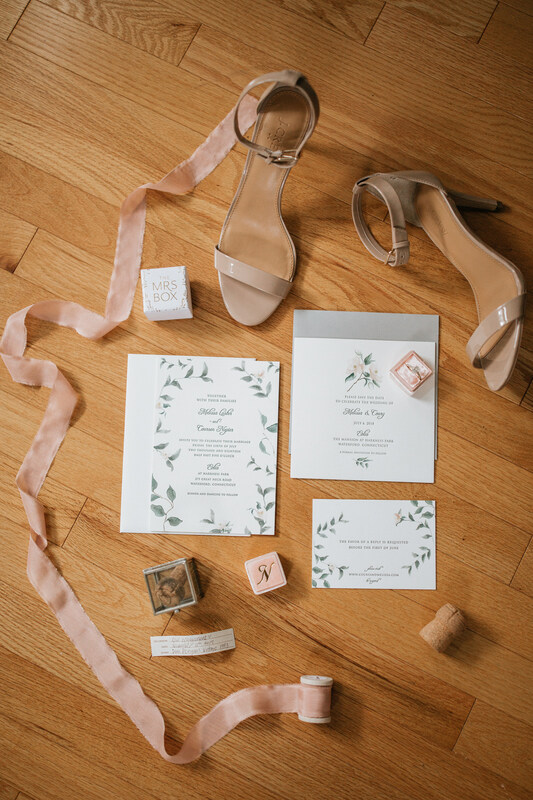 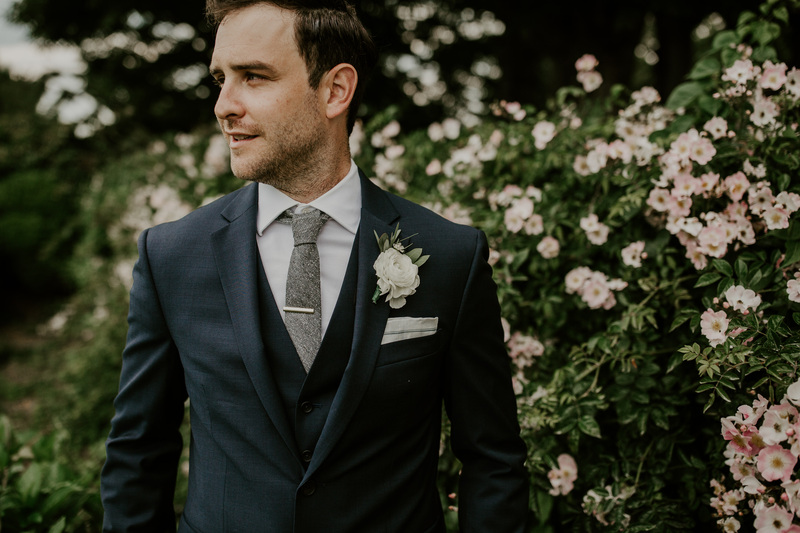 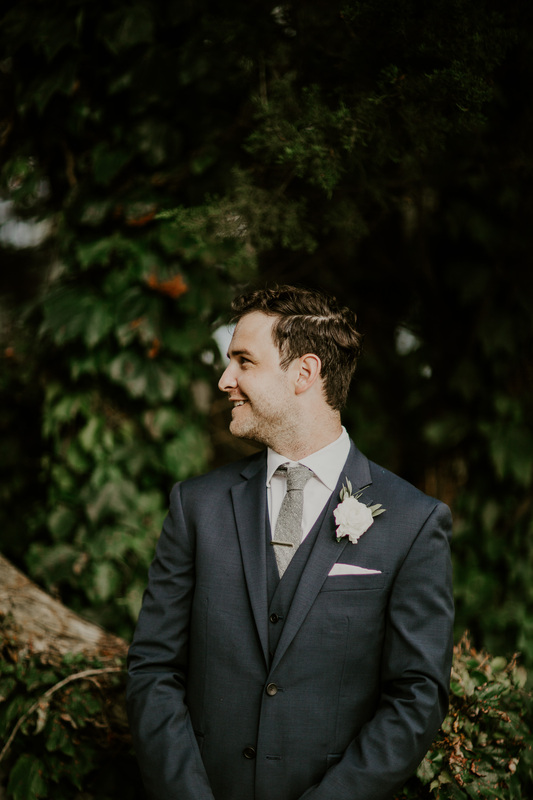 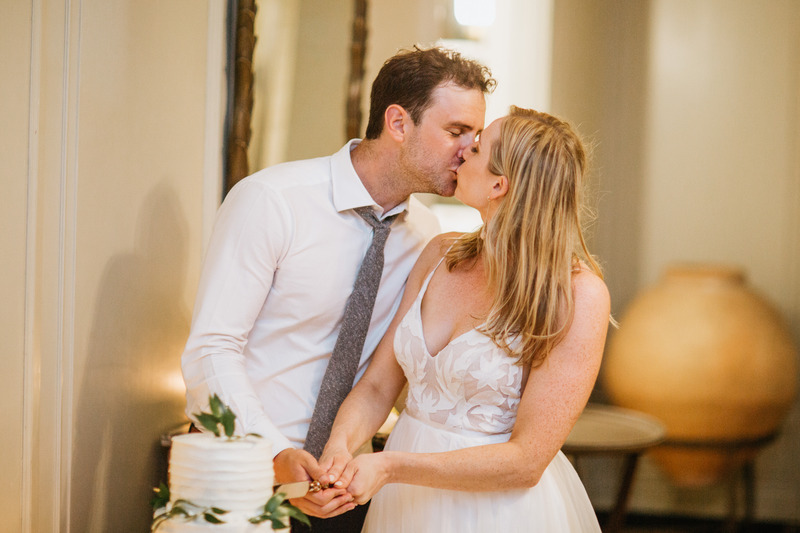 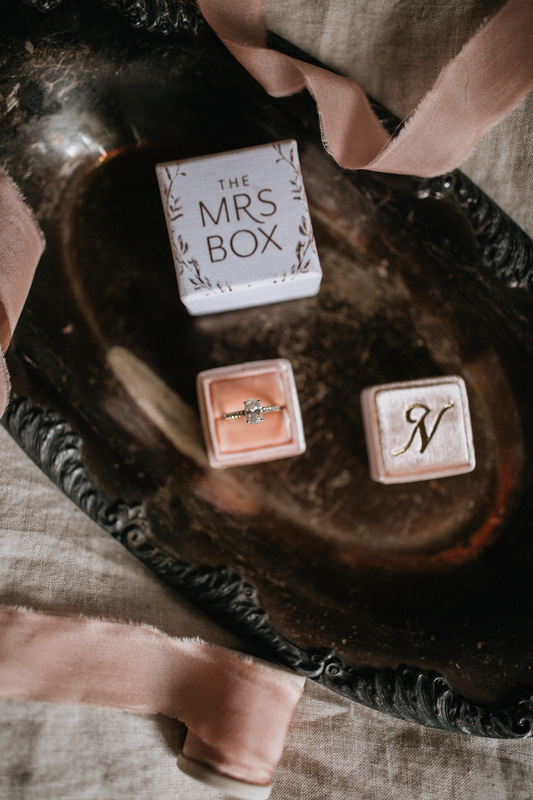 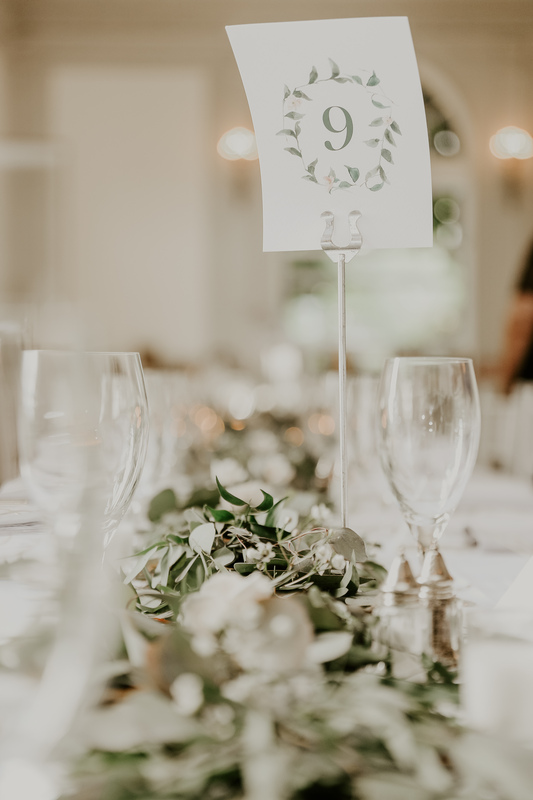 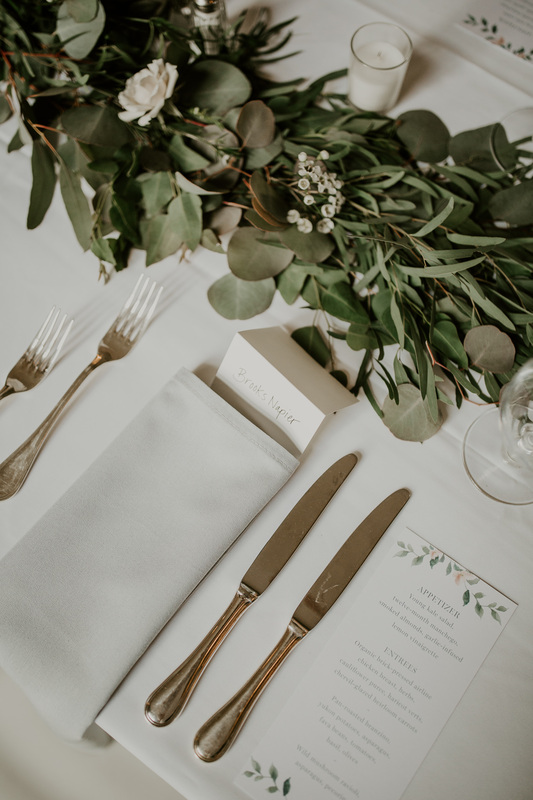 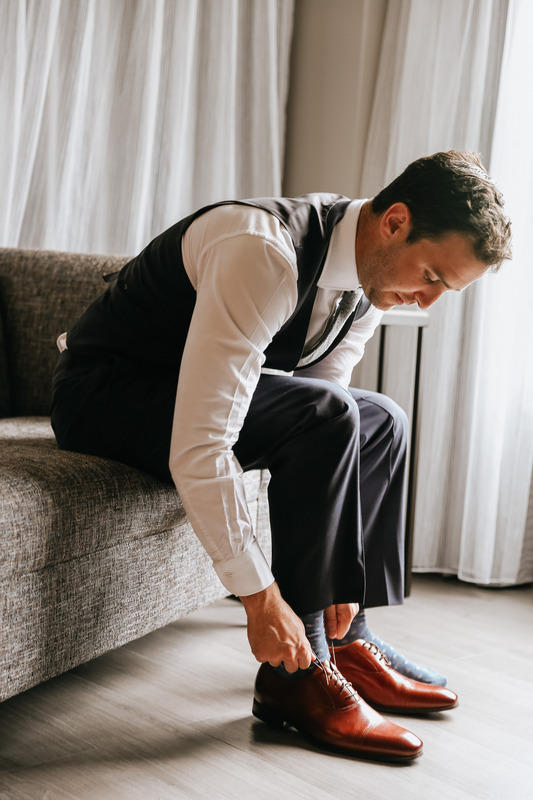 I loved the special details that were incorporated at their wedding. 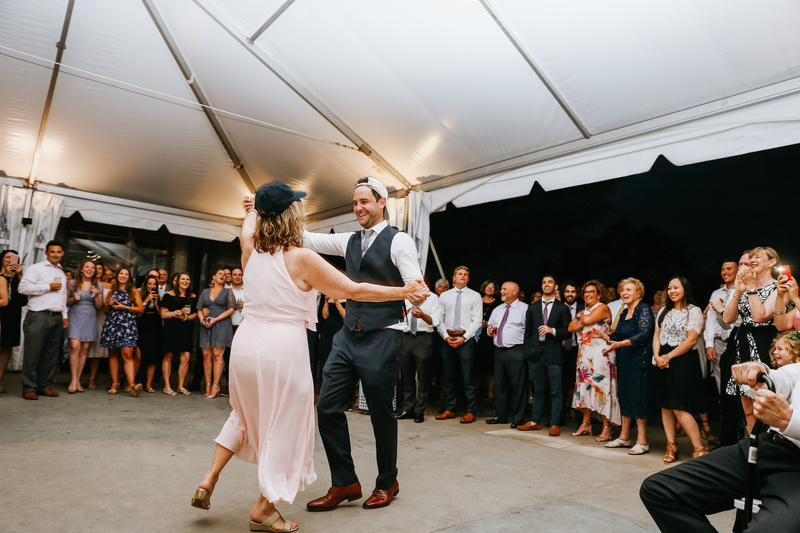 Melissa designed her own wedding invitation suite and Coury and his mom busted out their Yankees hats for parent dance. 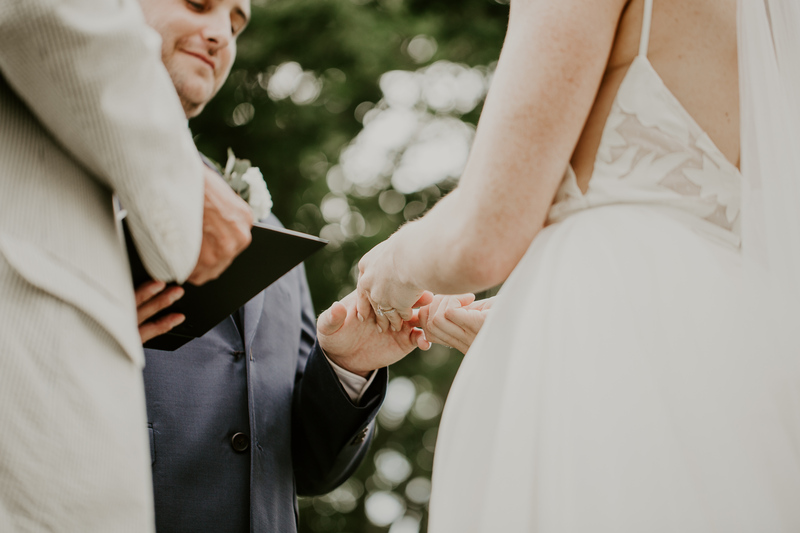 They printed their engagement photos in a guestbook. 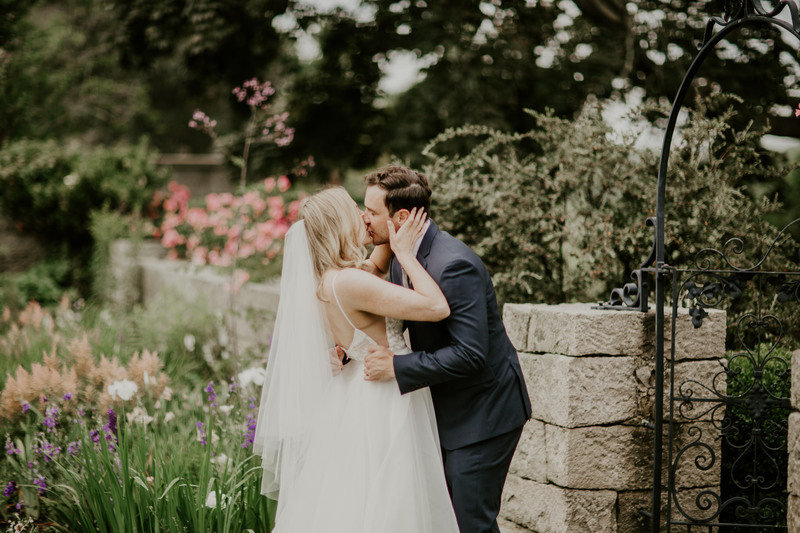 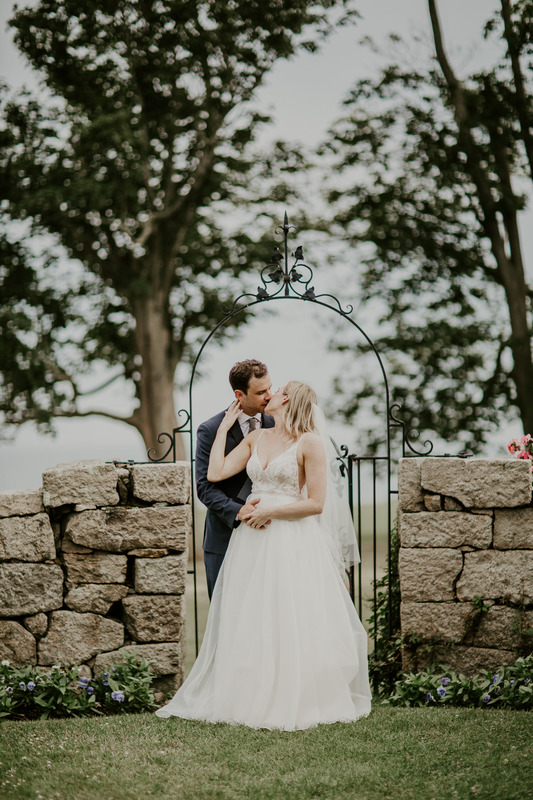 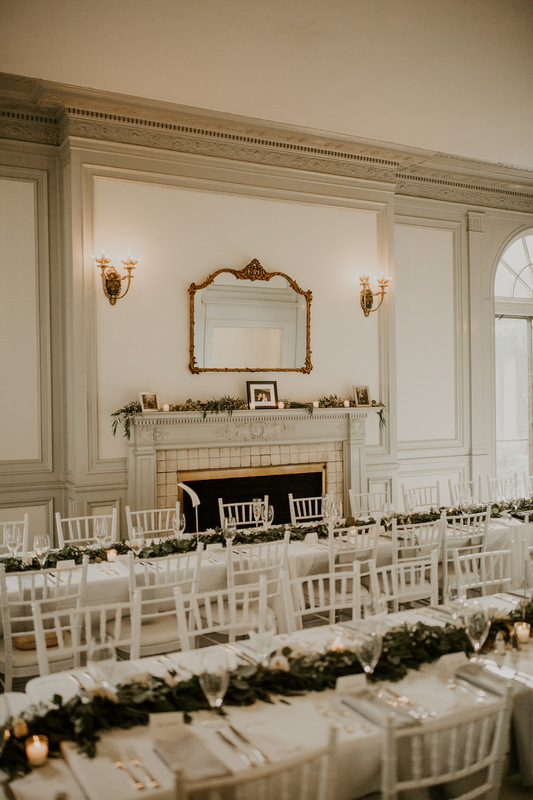 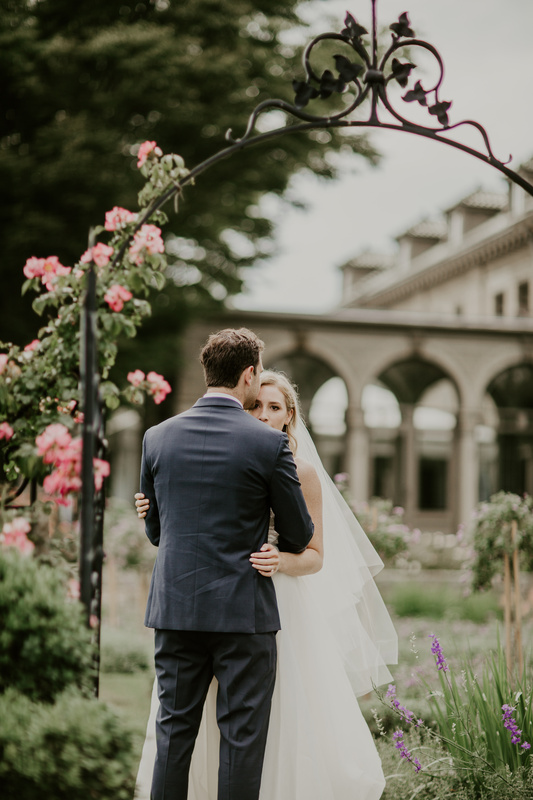 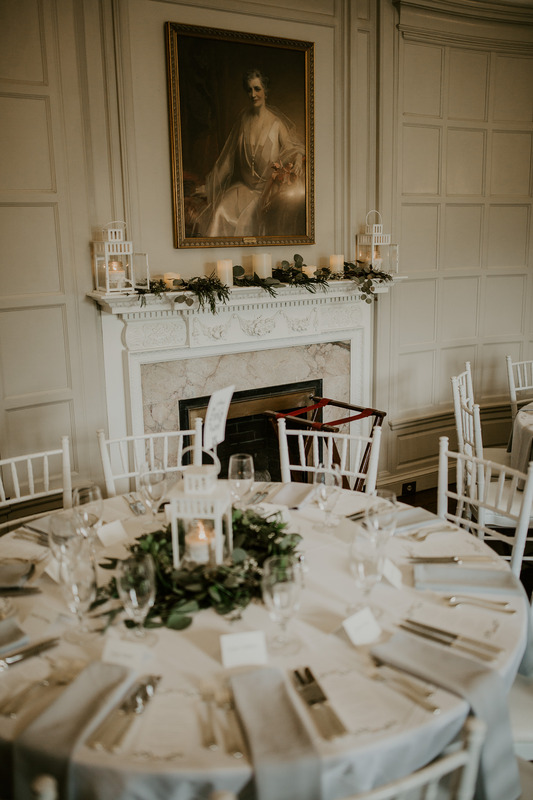 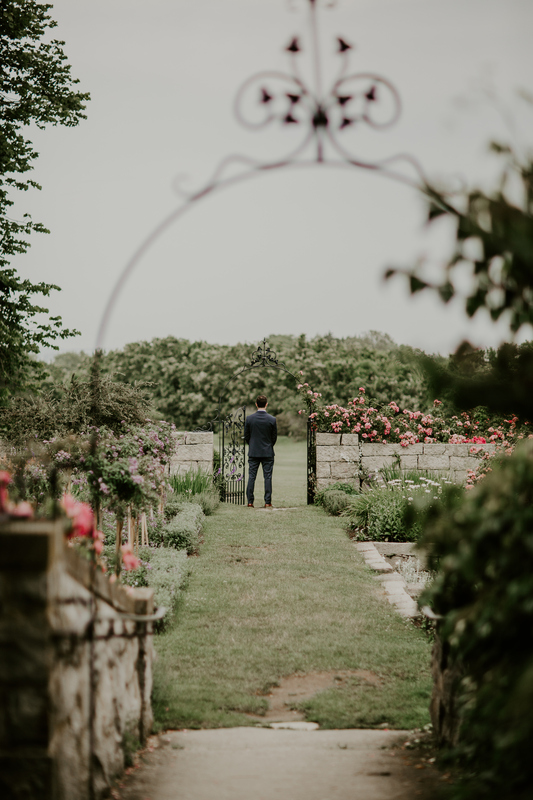 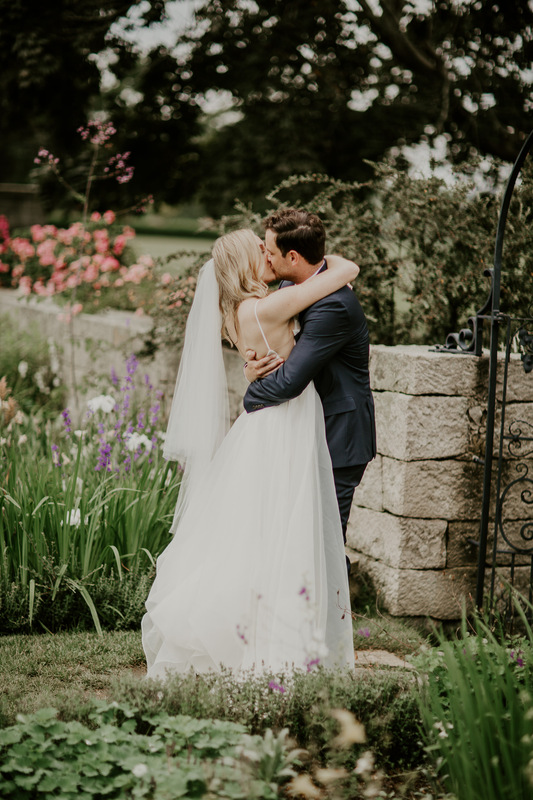 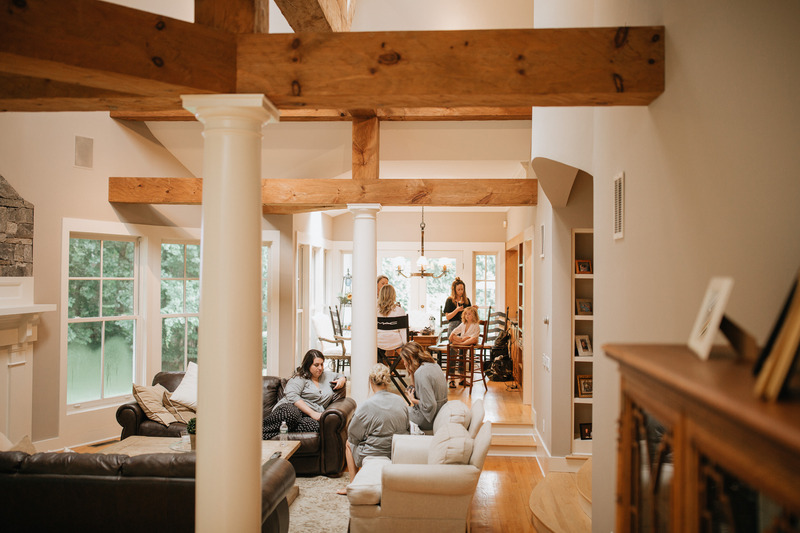 I have done several engagement sessions at Harkness and would be extremely happy to recommend this as the most magical wedding venue in Connecticut. 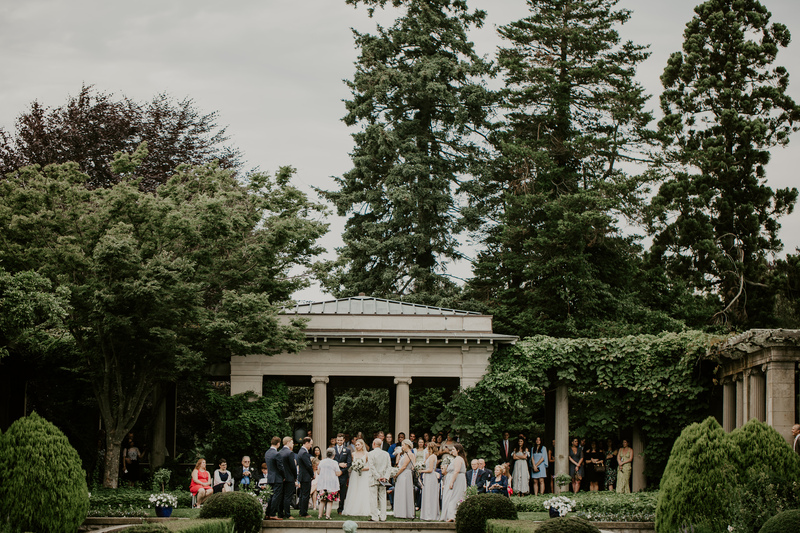 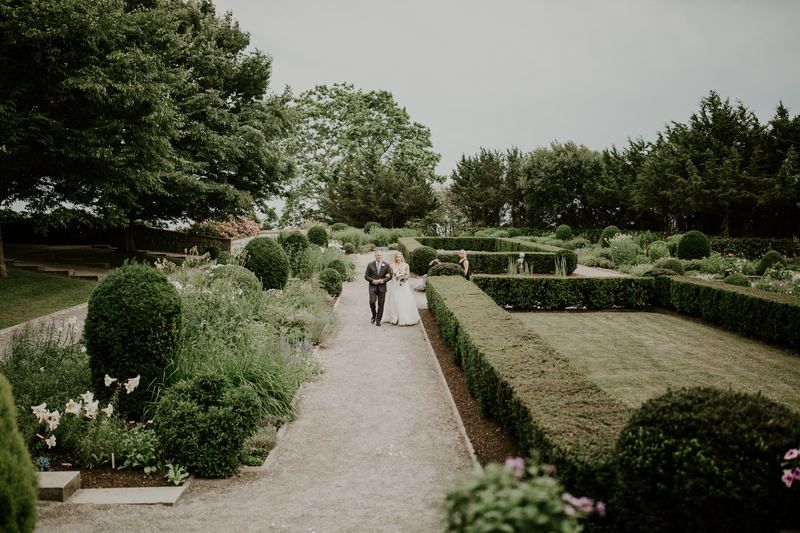 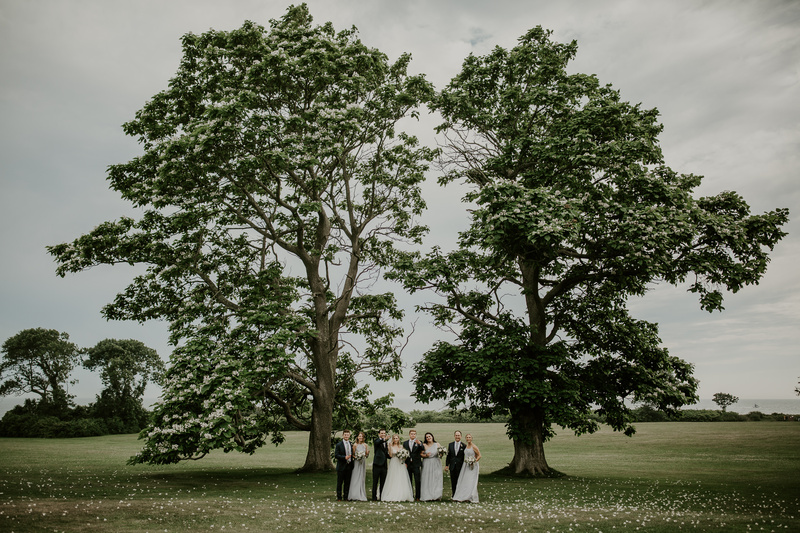 If you love trees, art, architecture, and English gardens, this is the place for your intimate wedding or elopement. 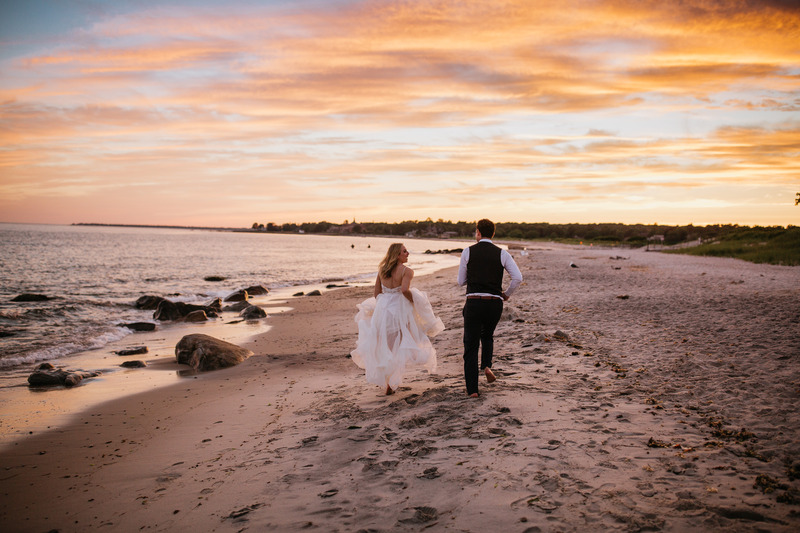 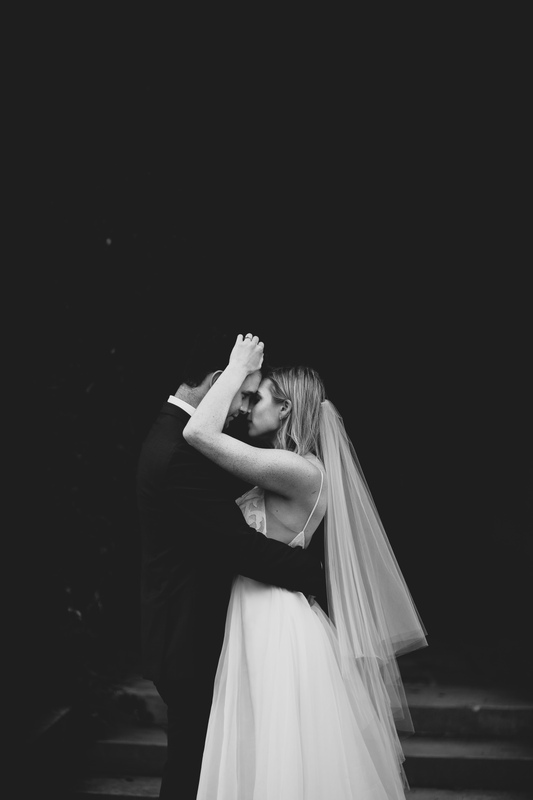 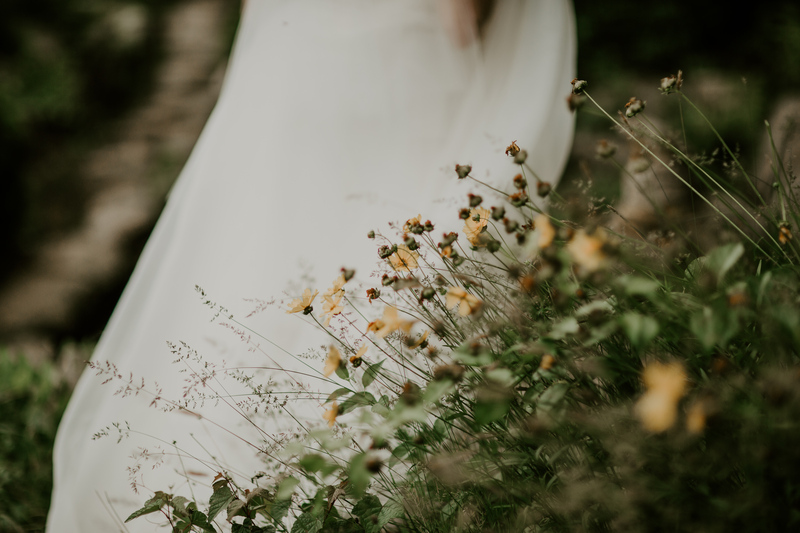 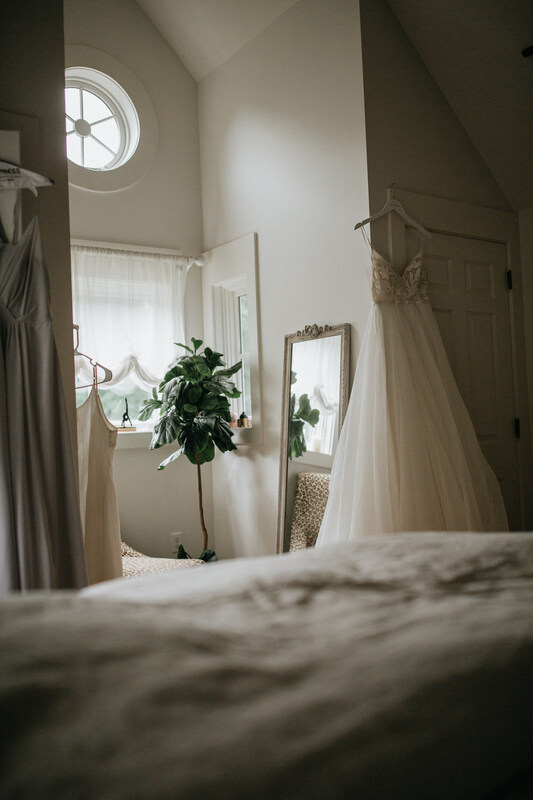 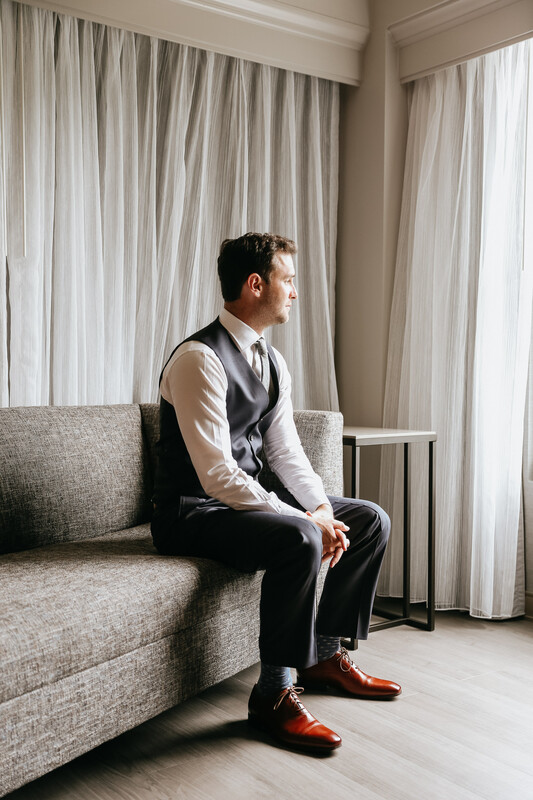 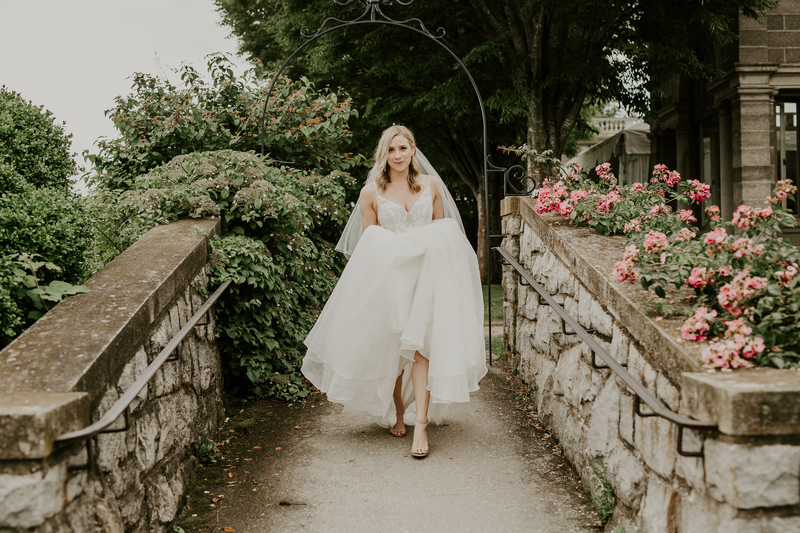 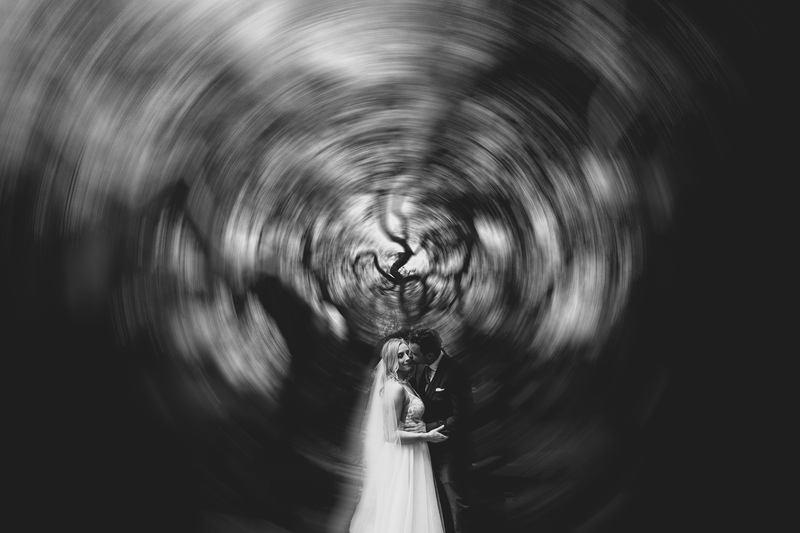 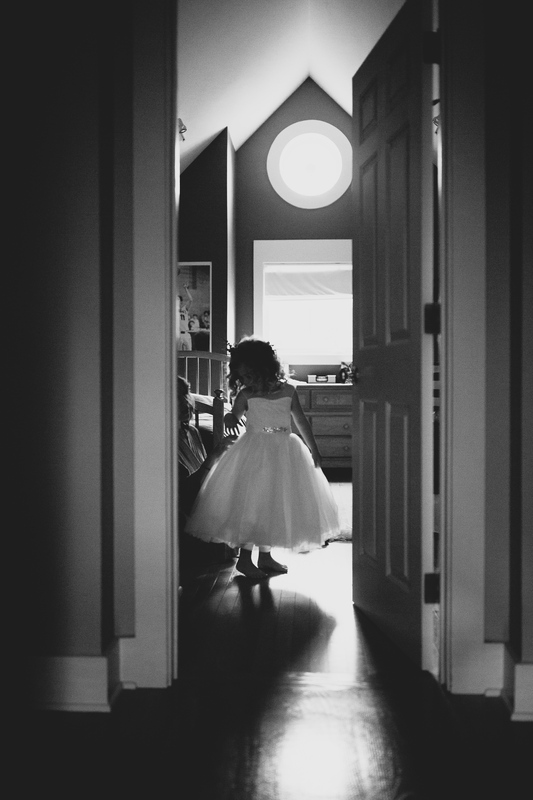 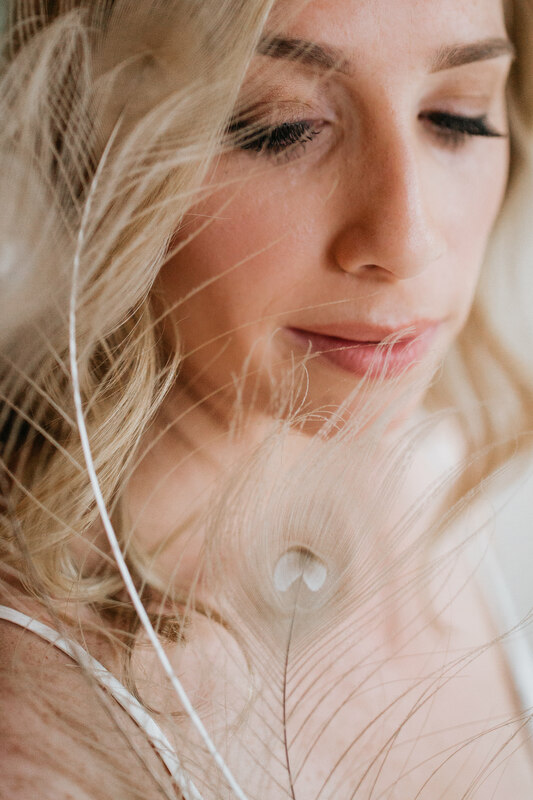 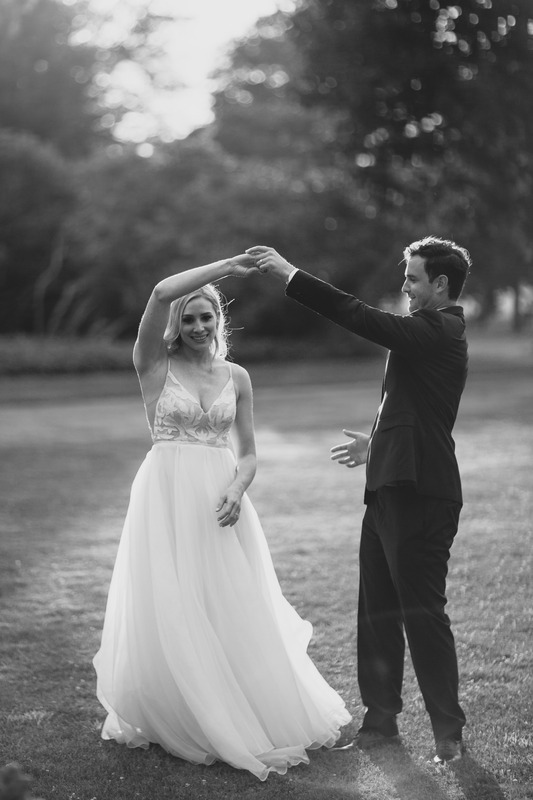 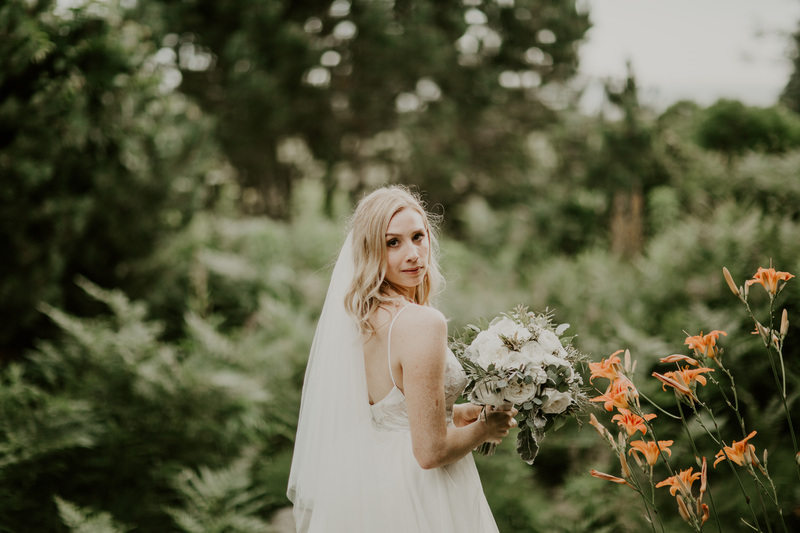 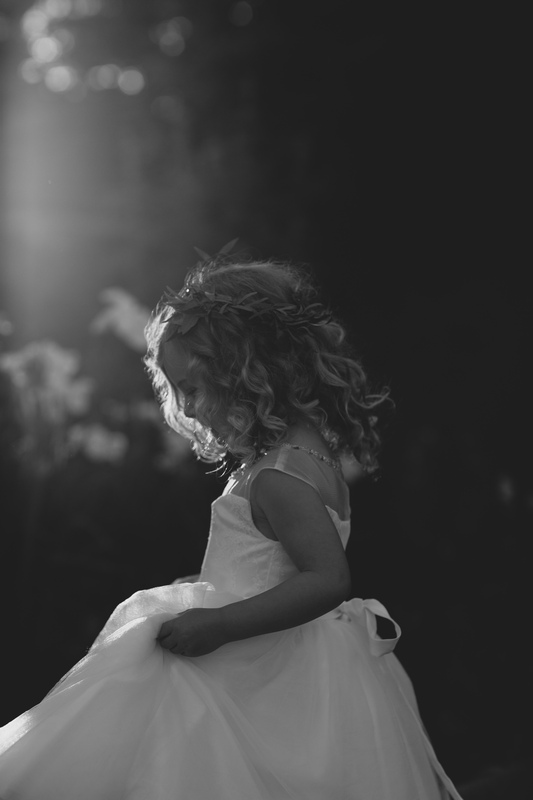 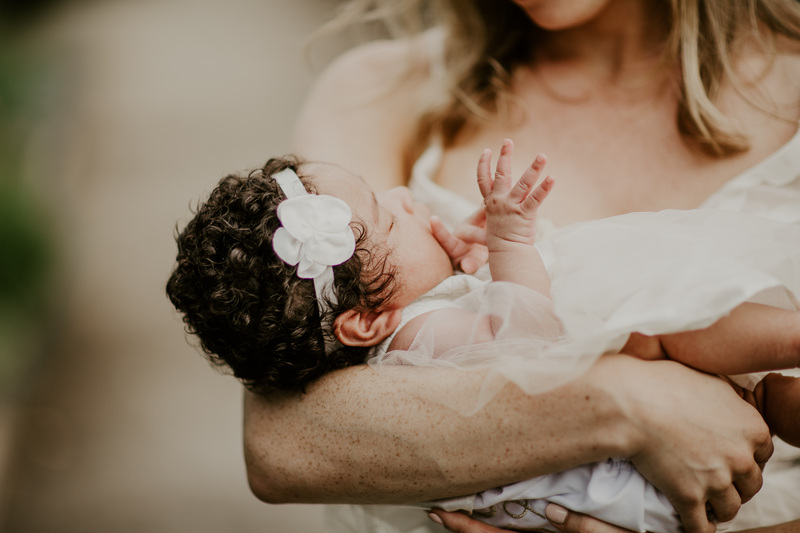 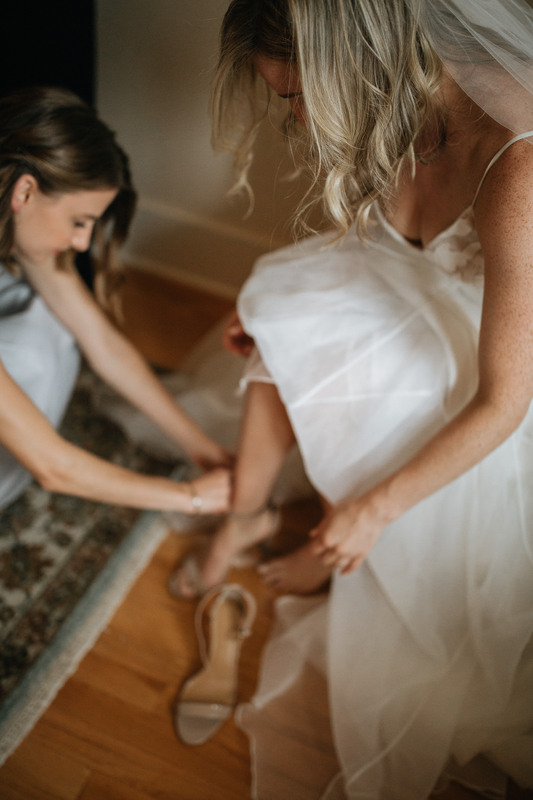 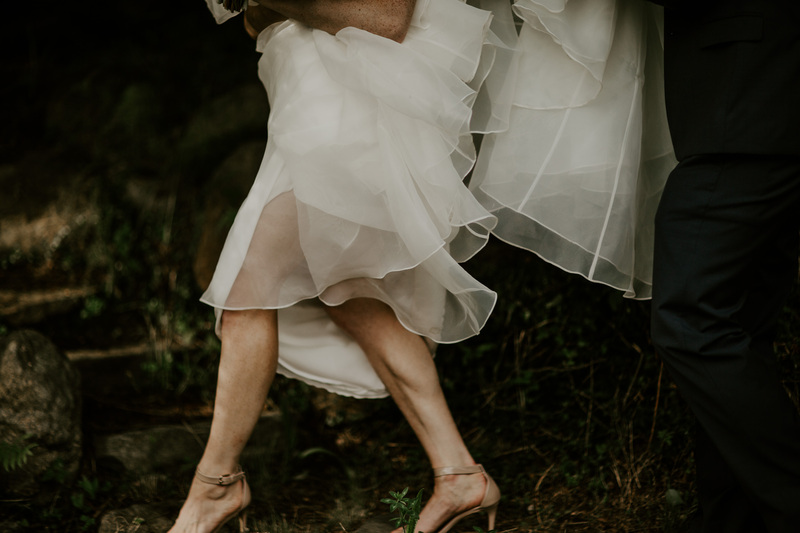 Corey Lynn Tucker Photography is an adventurous wedding and elopement photographer. 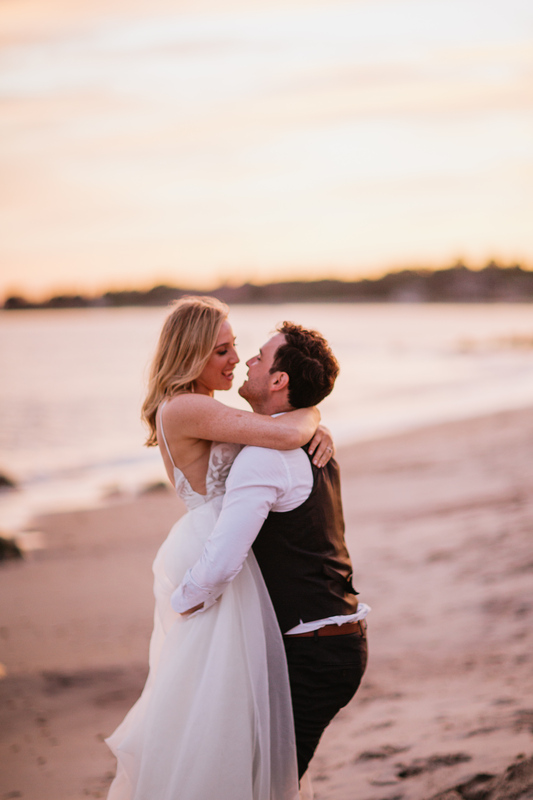 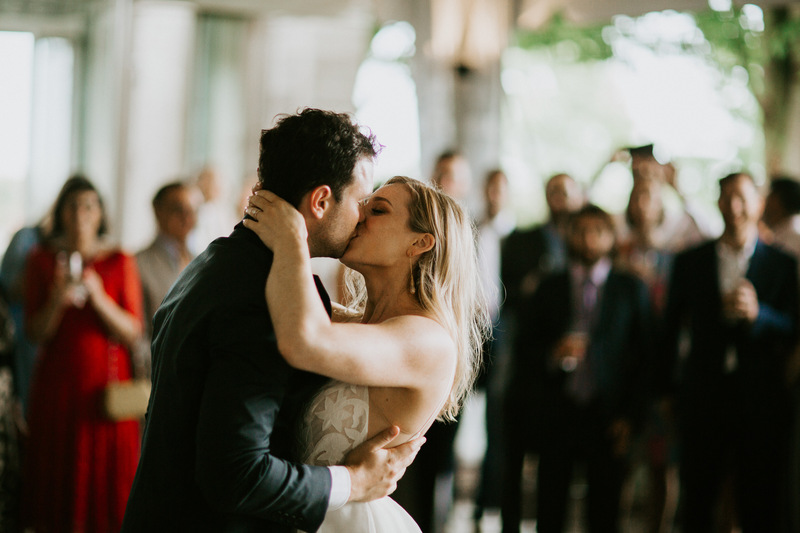 She lives with her husband in Connecticut, but her dream is to travel the world and hit the road with her husband to head west. 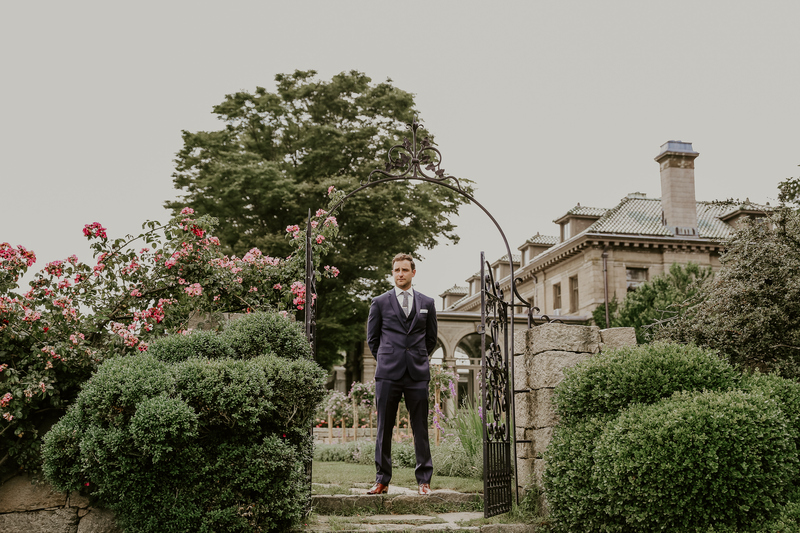 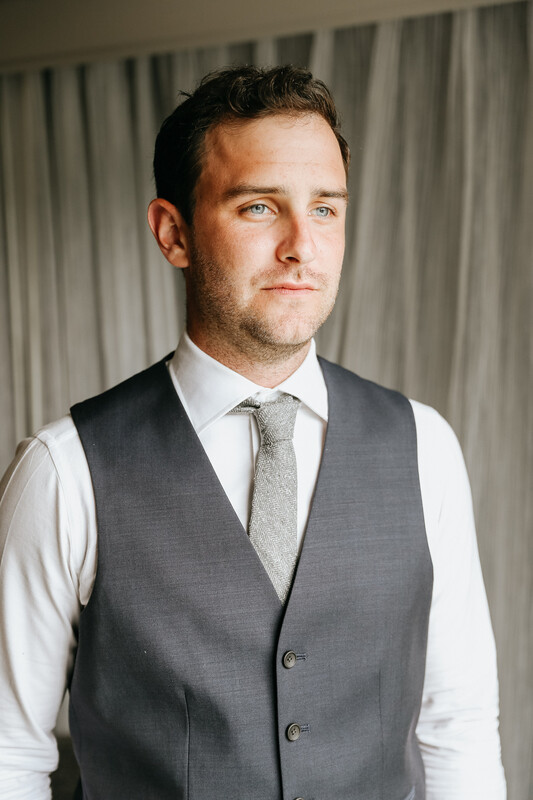 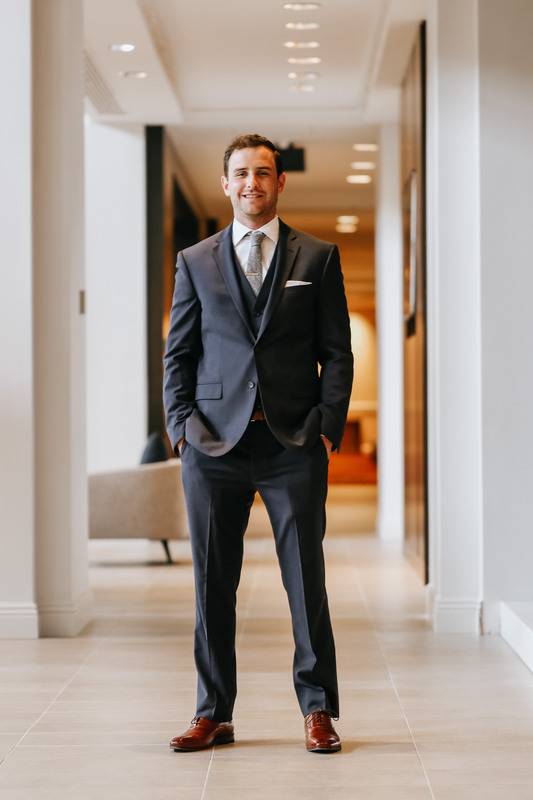 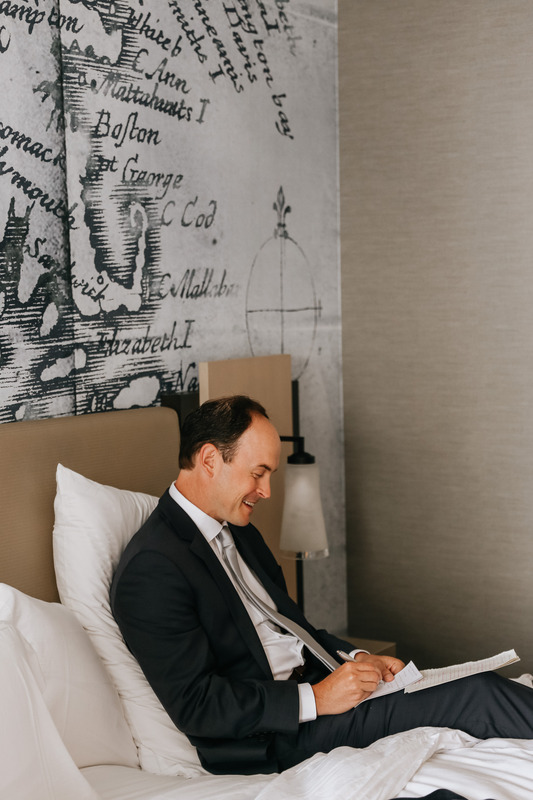 Based in New England, Corey is ready to travel for your adventurous hearts and wandering souls. 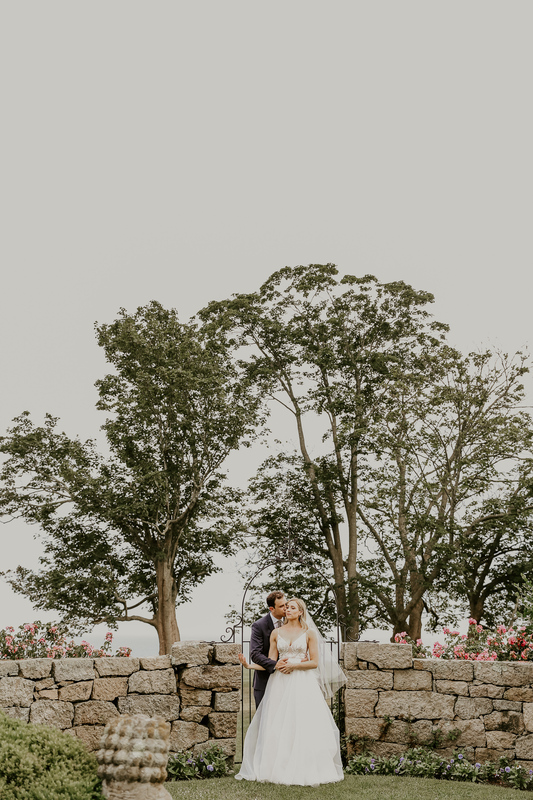 Love is by far the grandest adventure and Corey can’t wait to create artistic, romantic and genuine photos of your love especially for you. 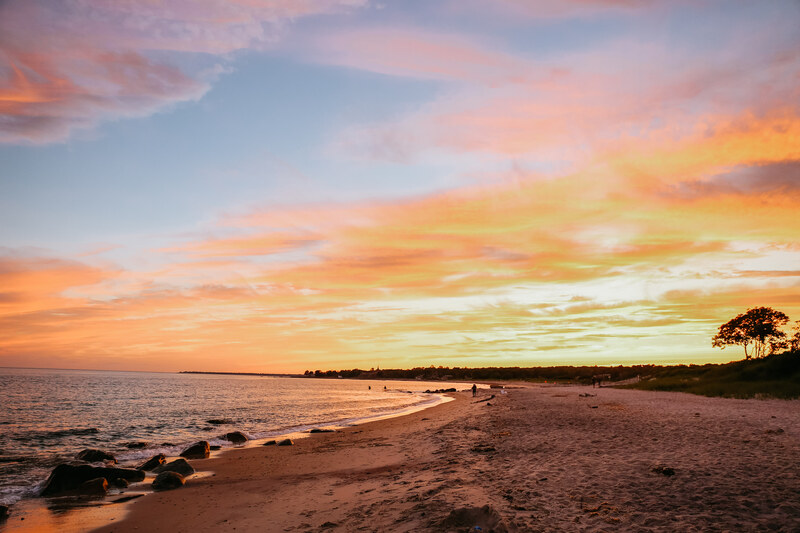 Who’s ready to go on an adventure?